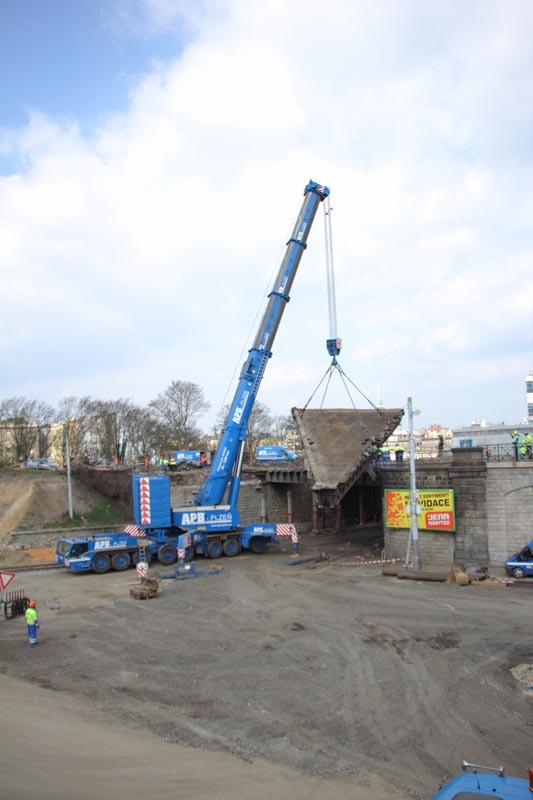 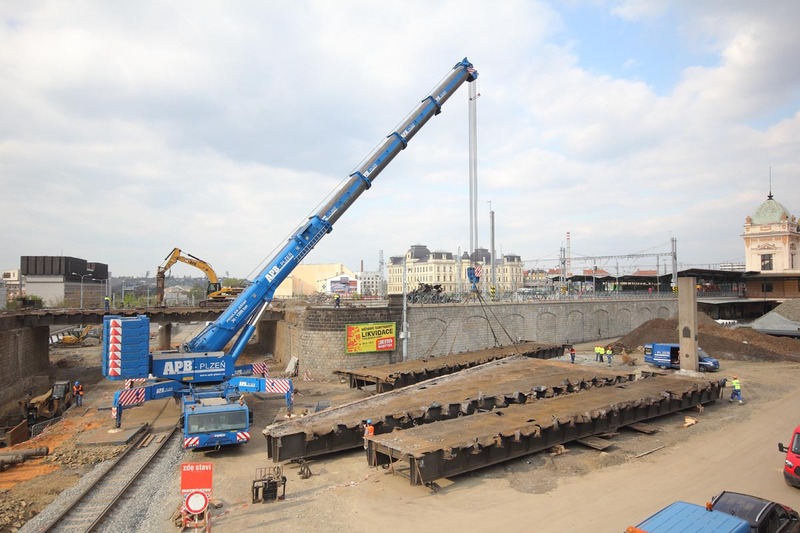 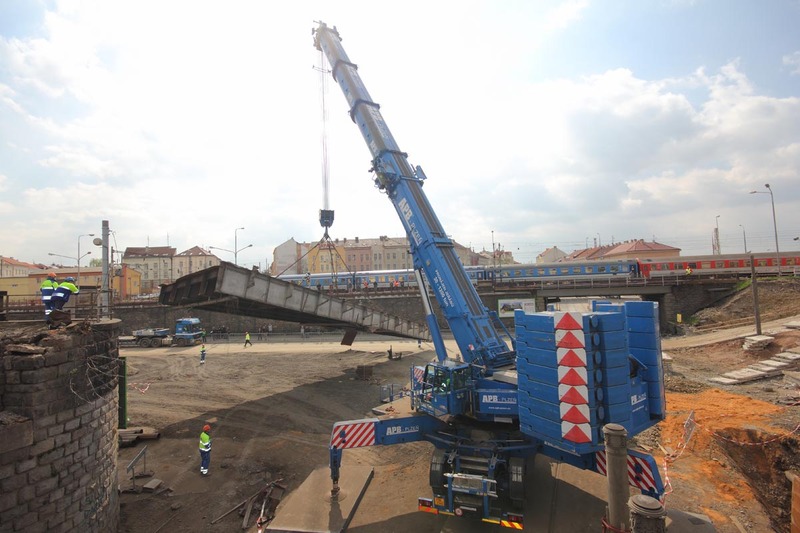 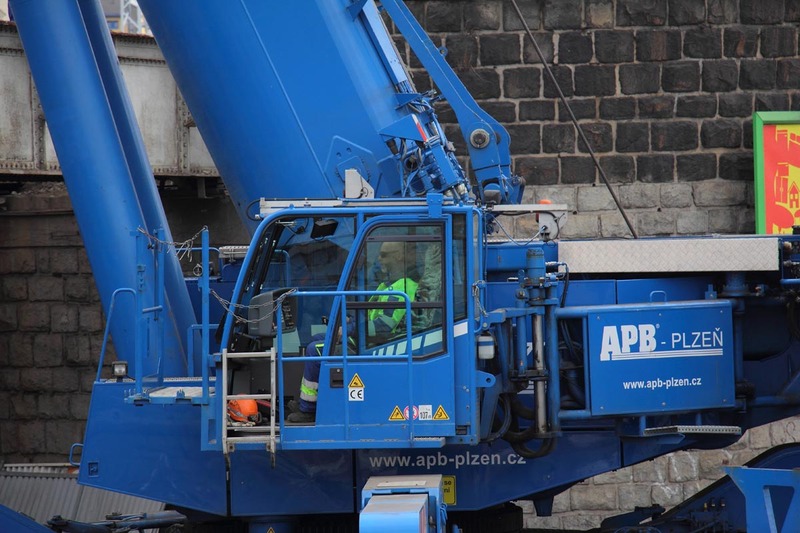 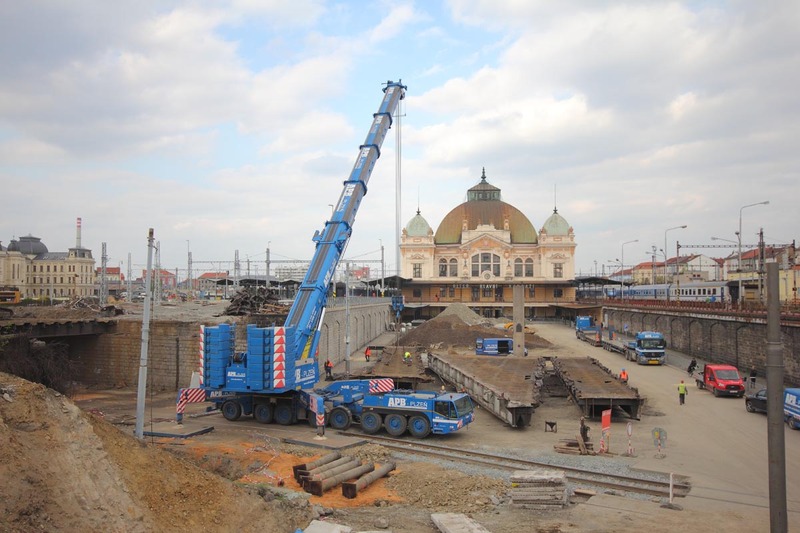 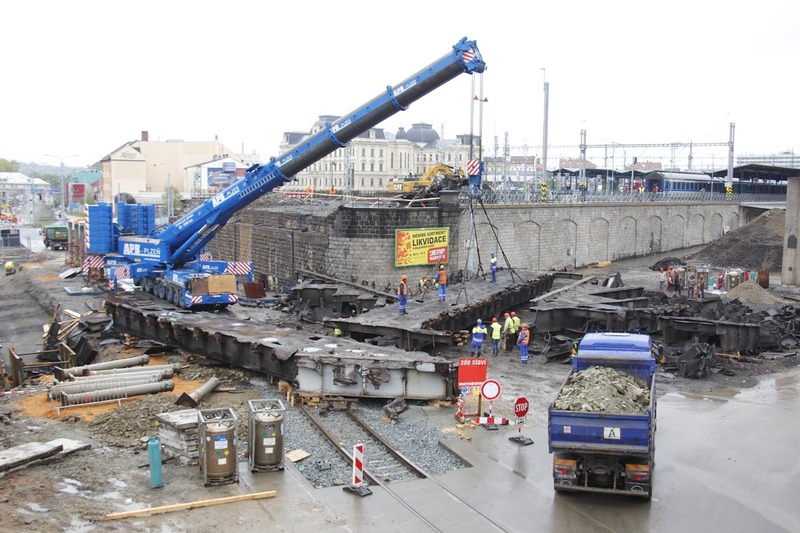 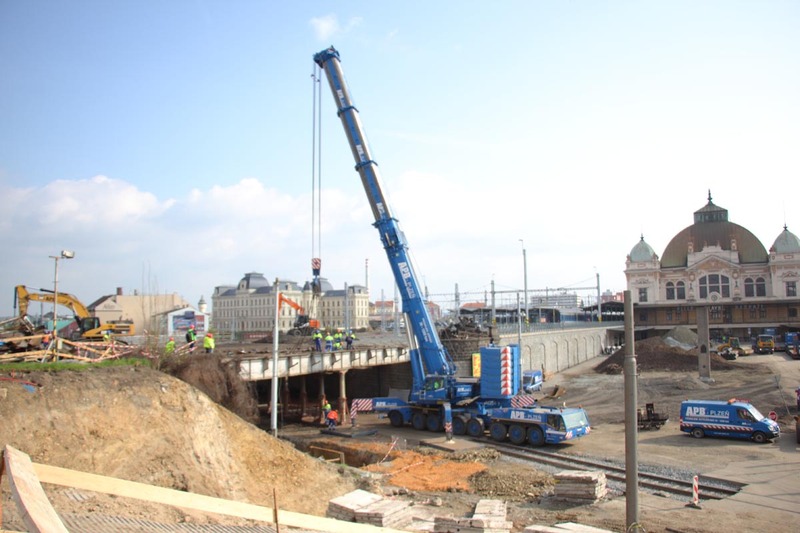 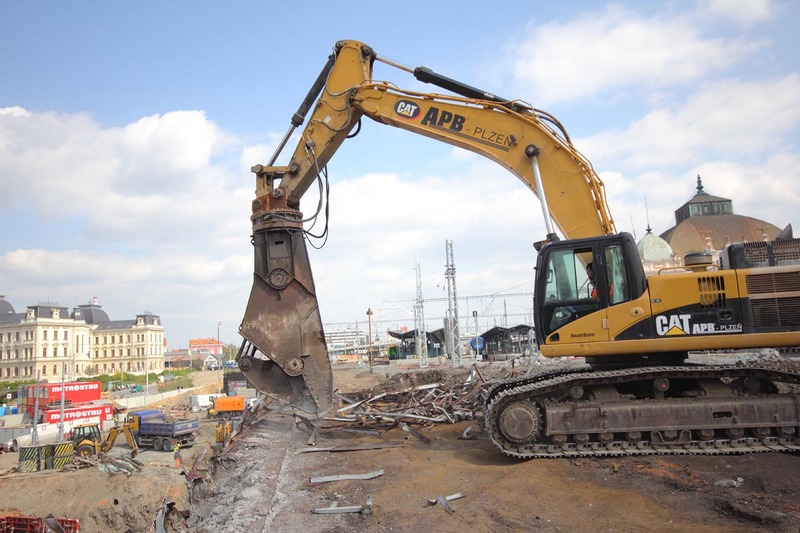 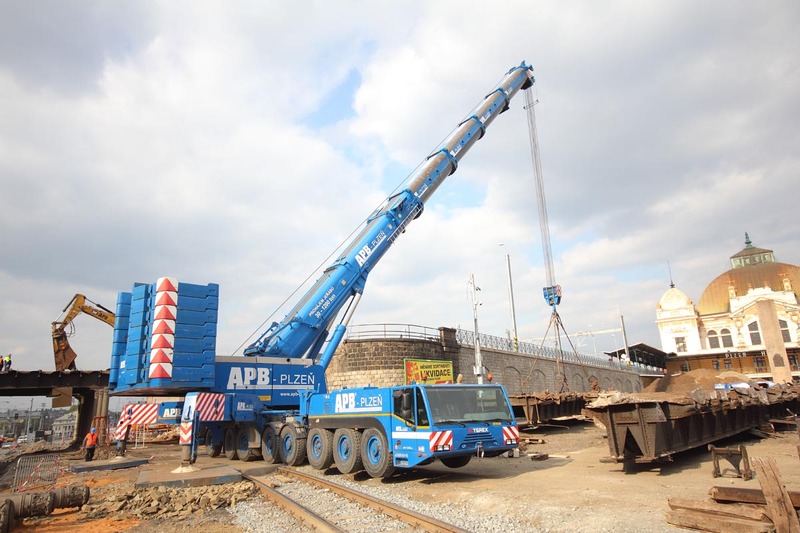 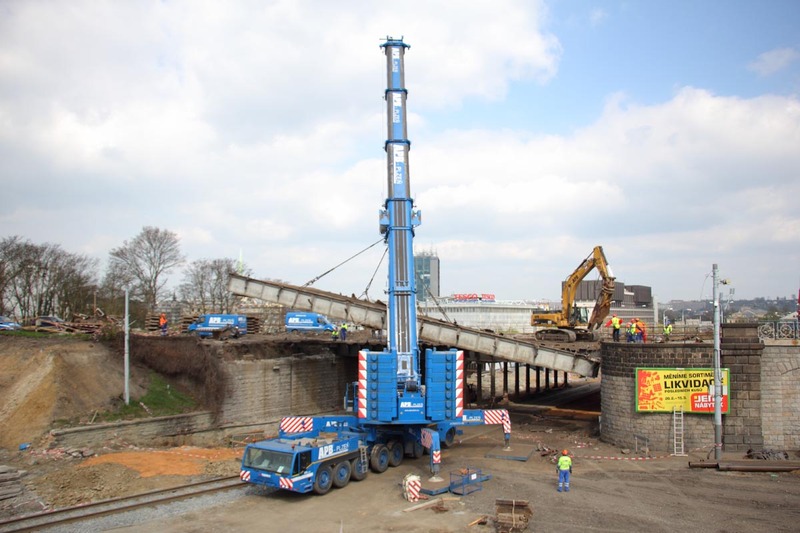 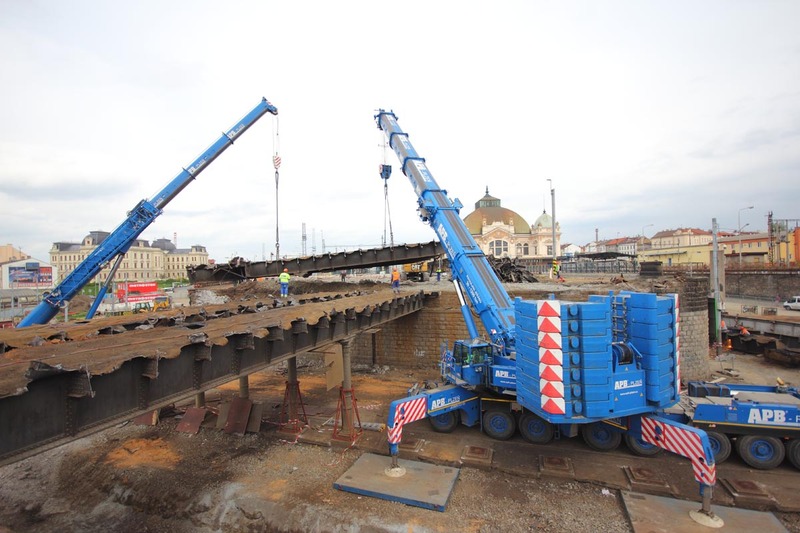 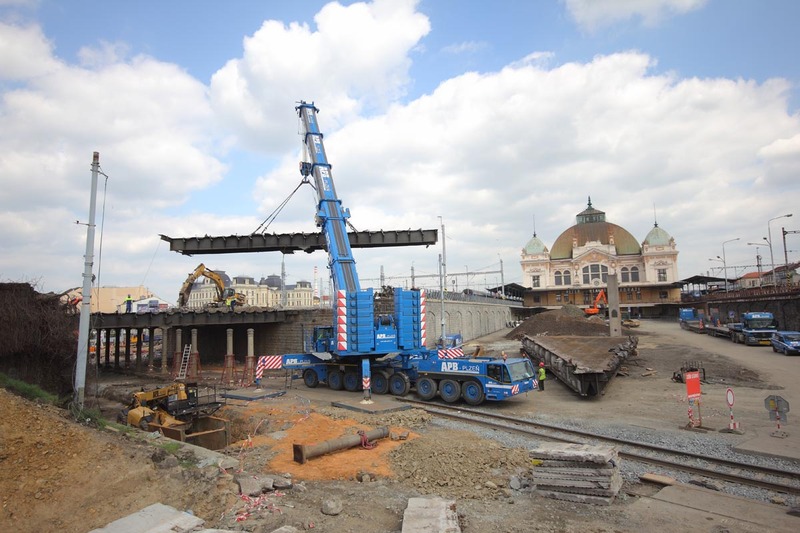 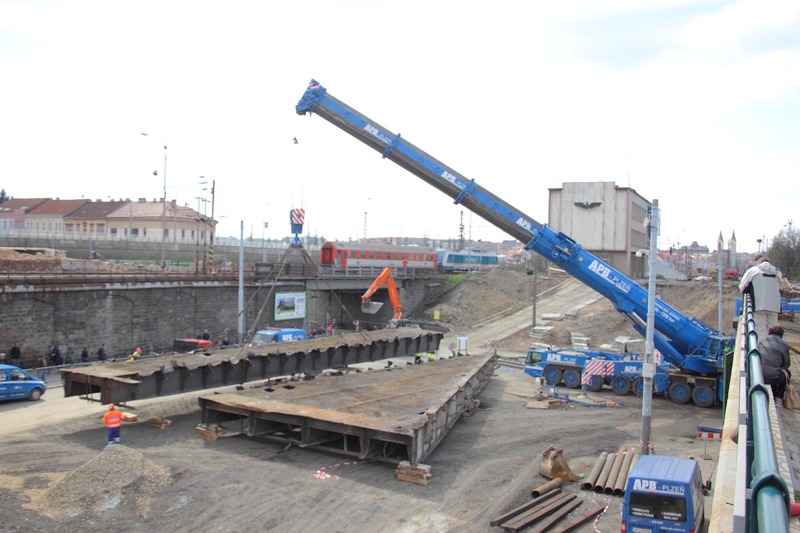 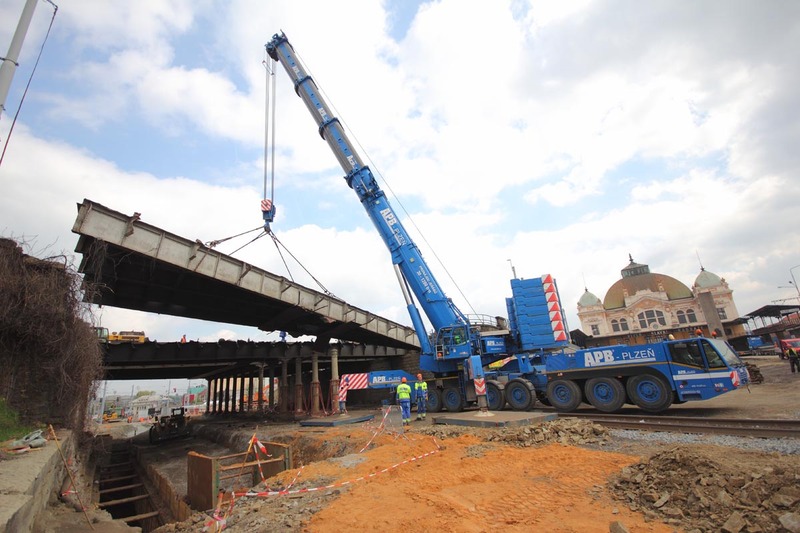 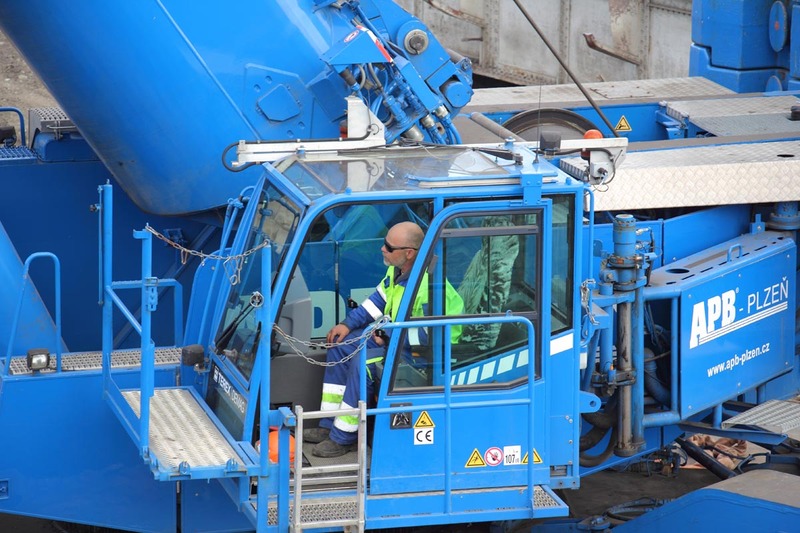 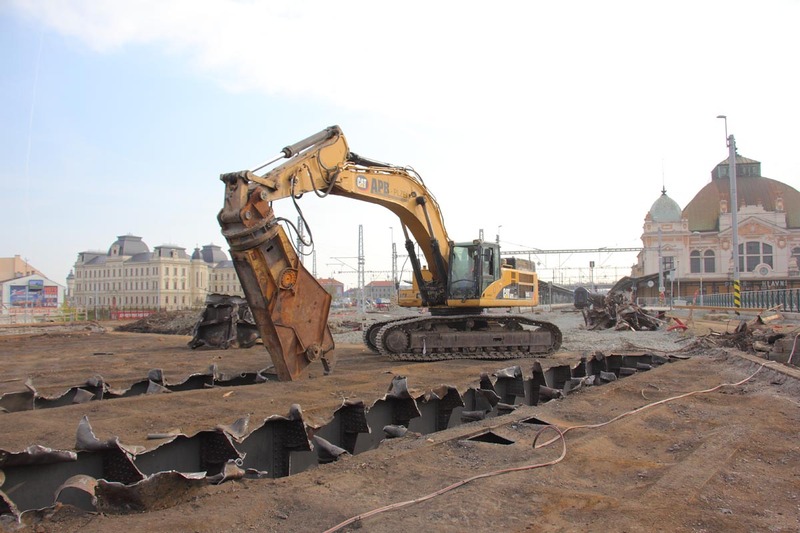 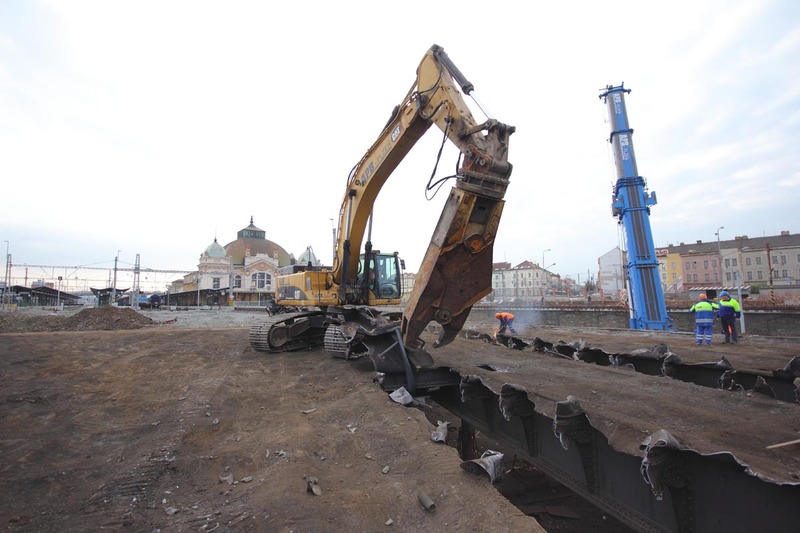 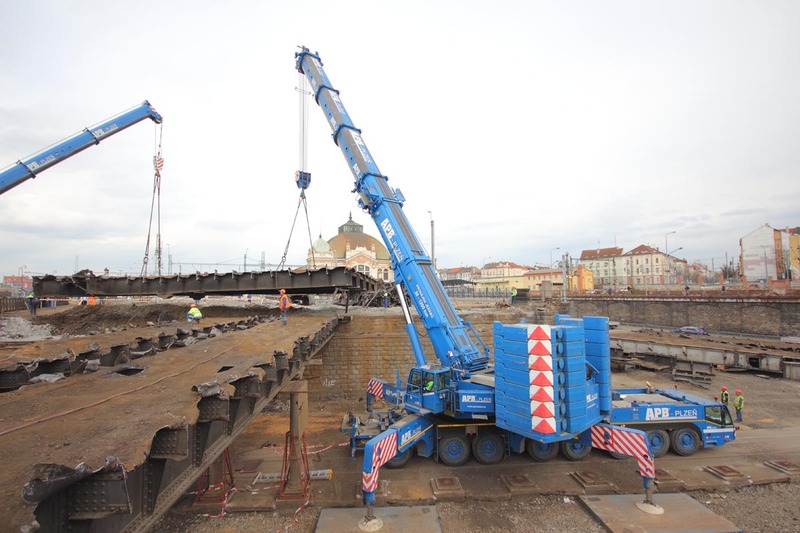 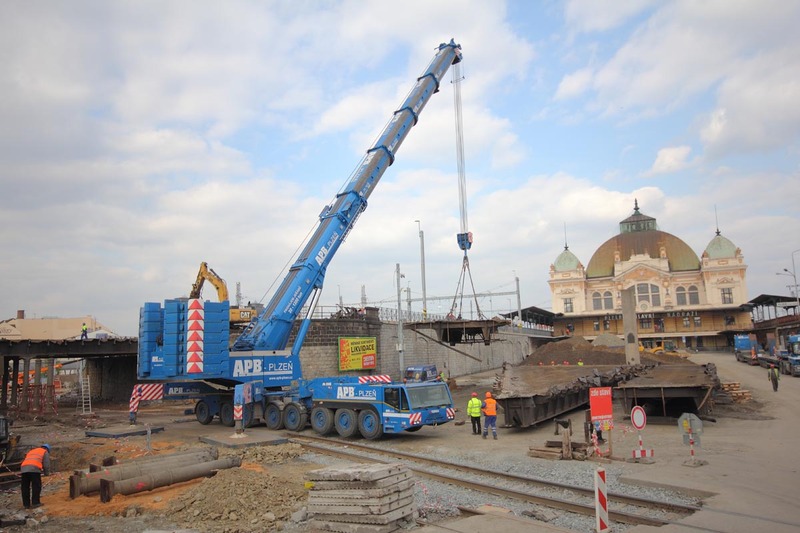 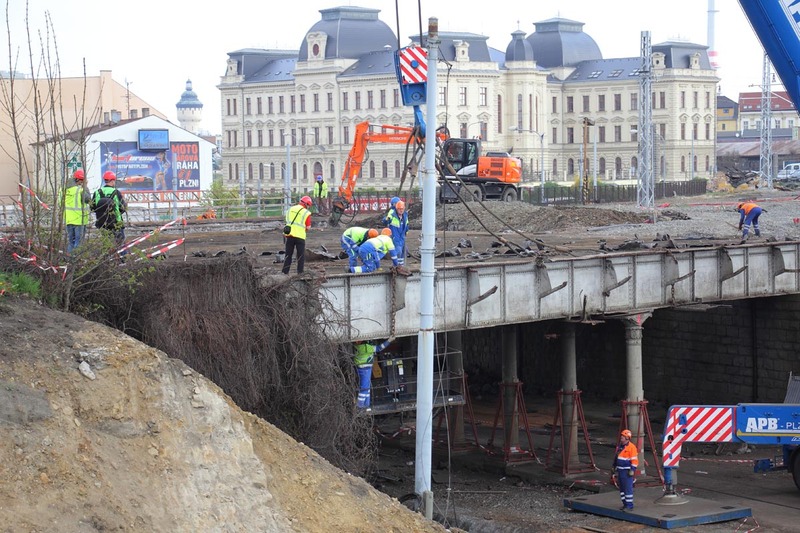 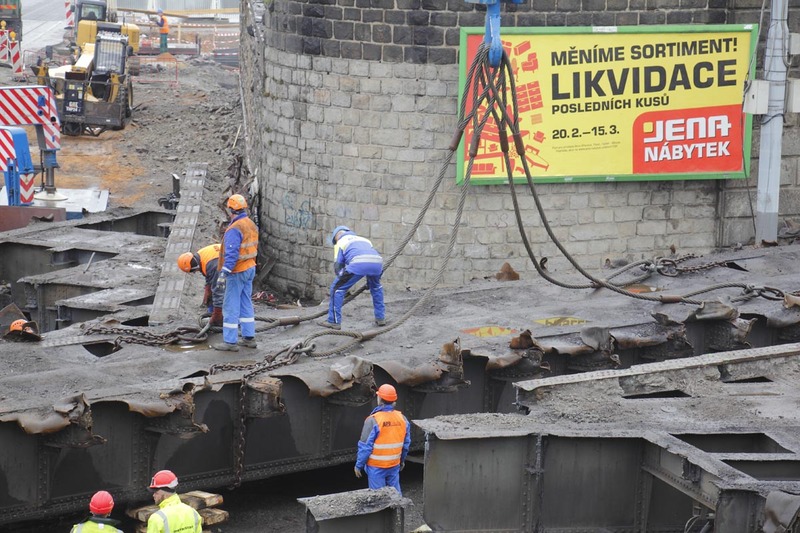 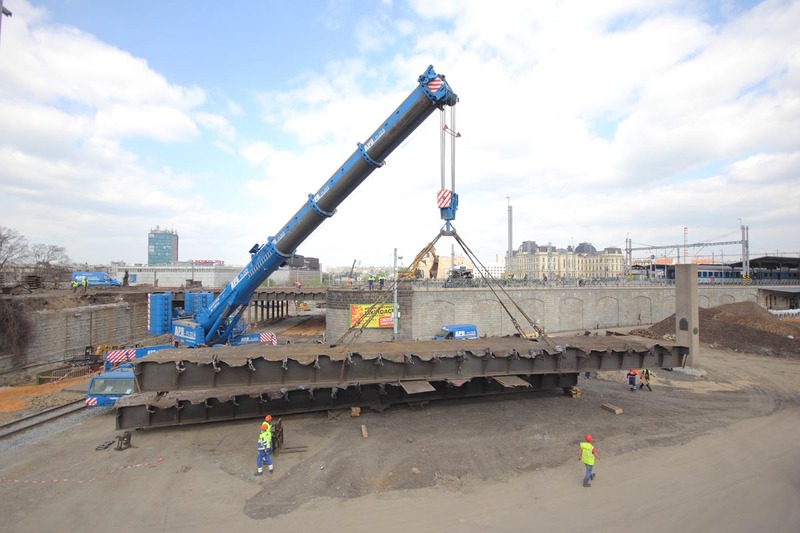 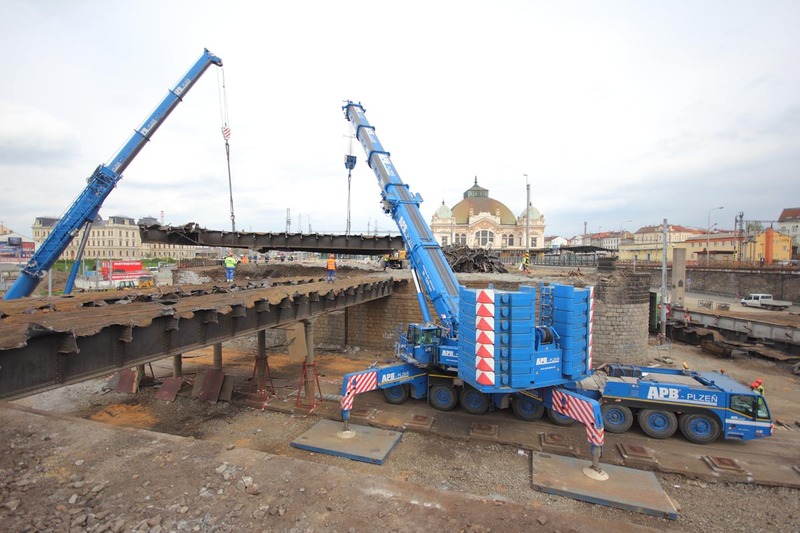 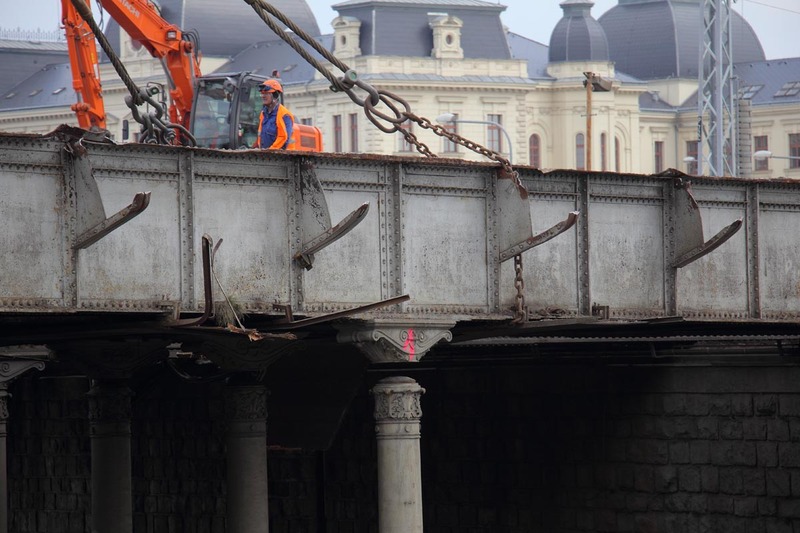 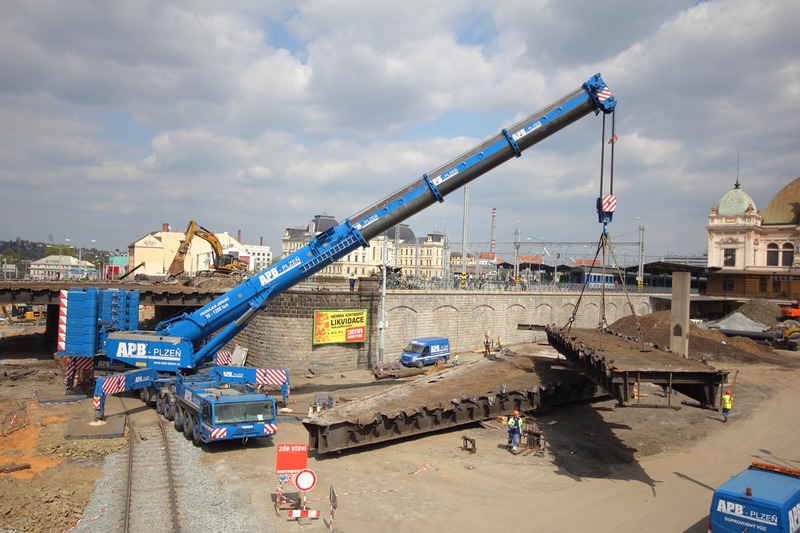 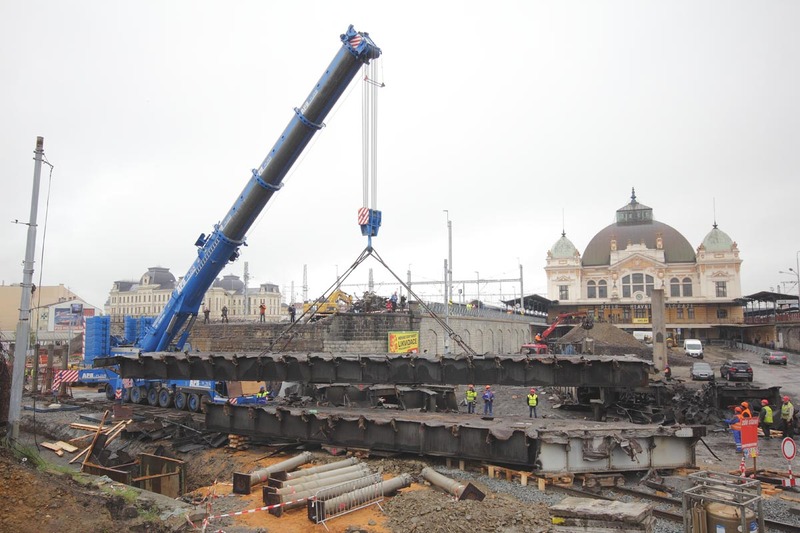 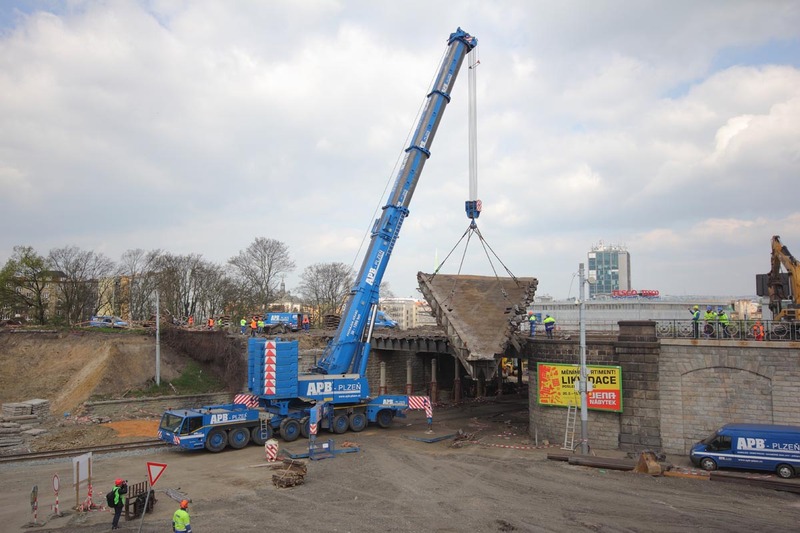 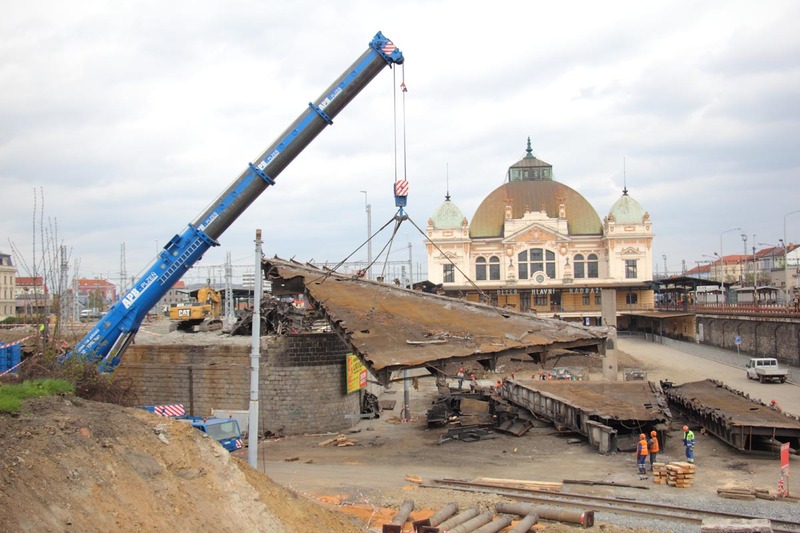 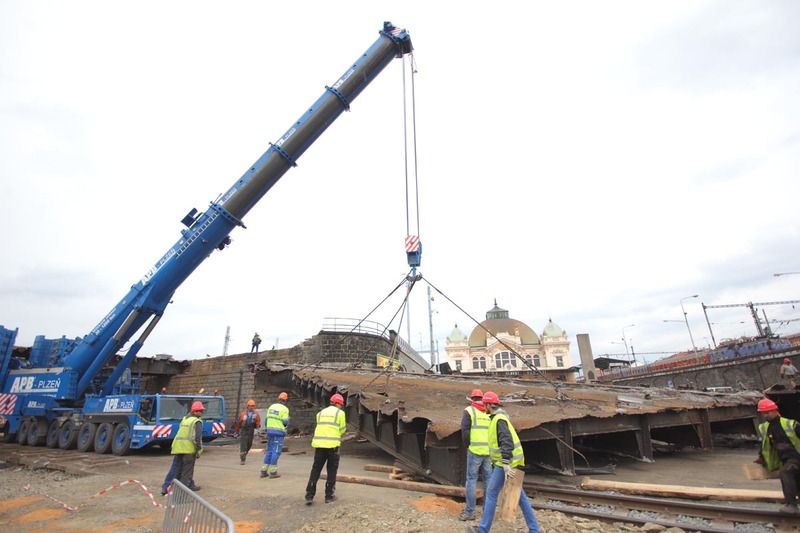 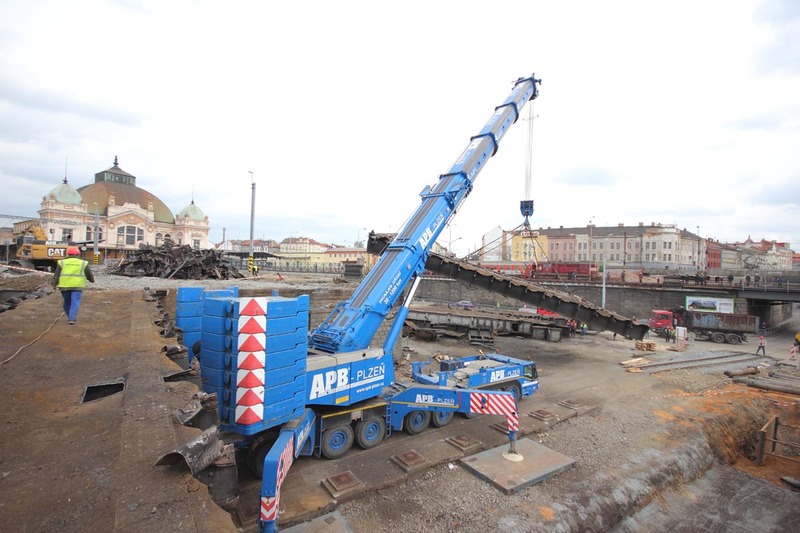 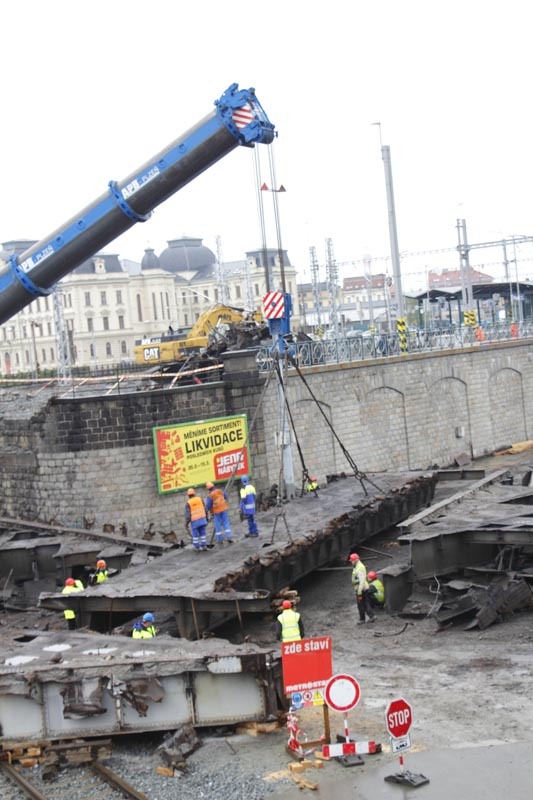 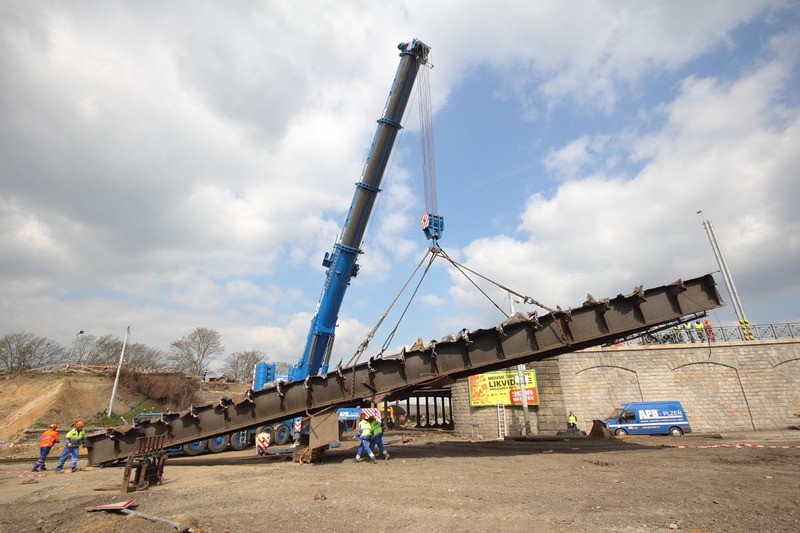 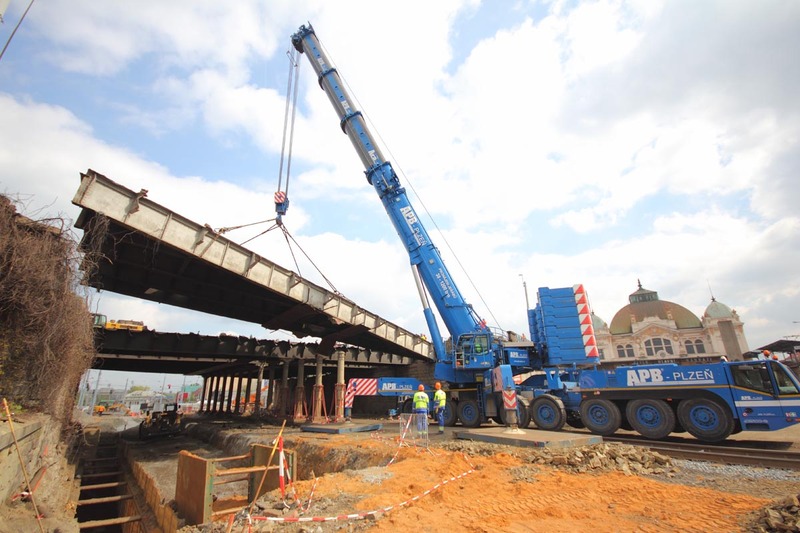 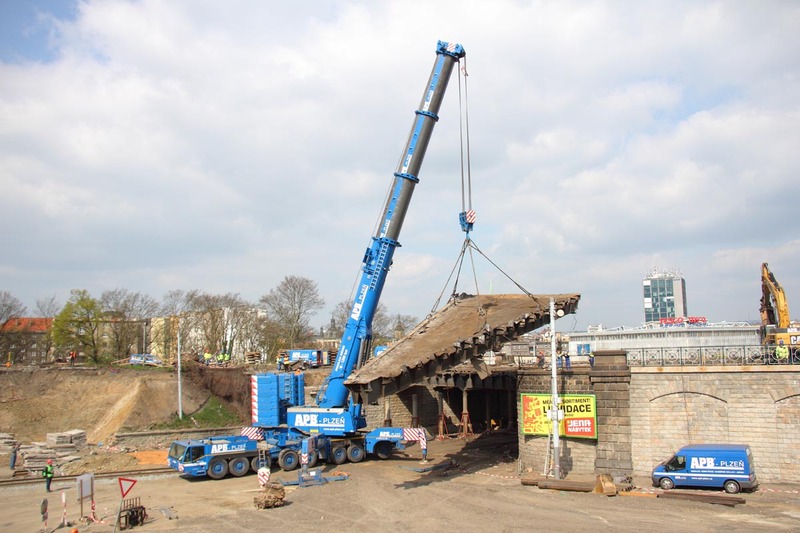 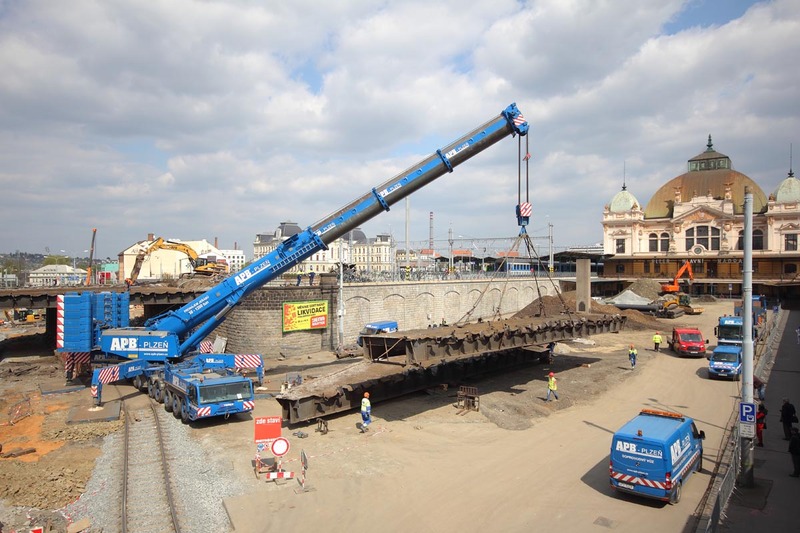 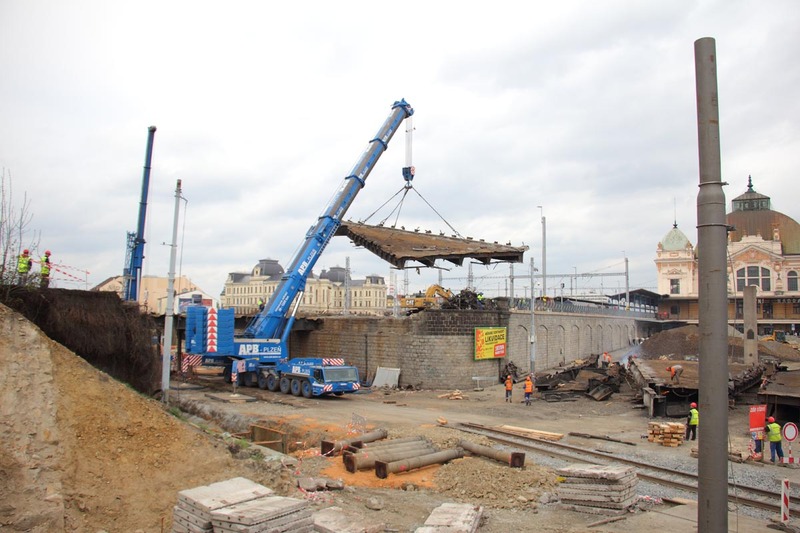 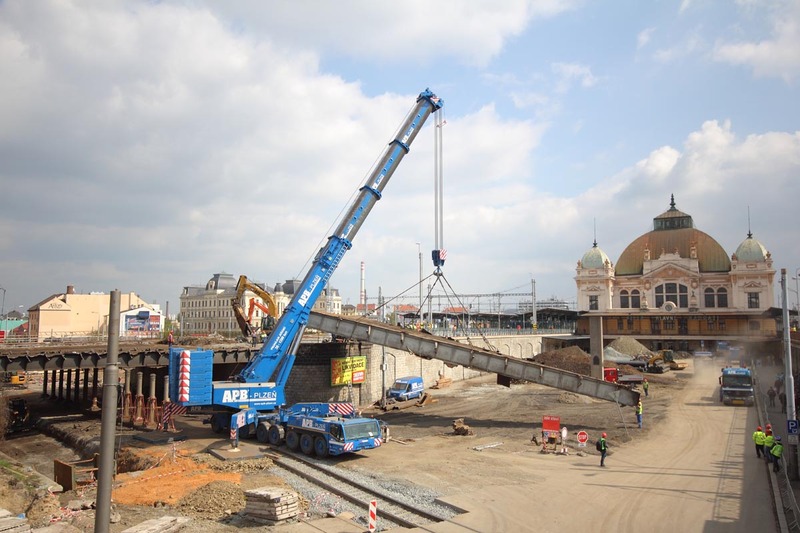 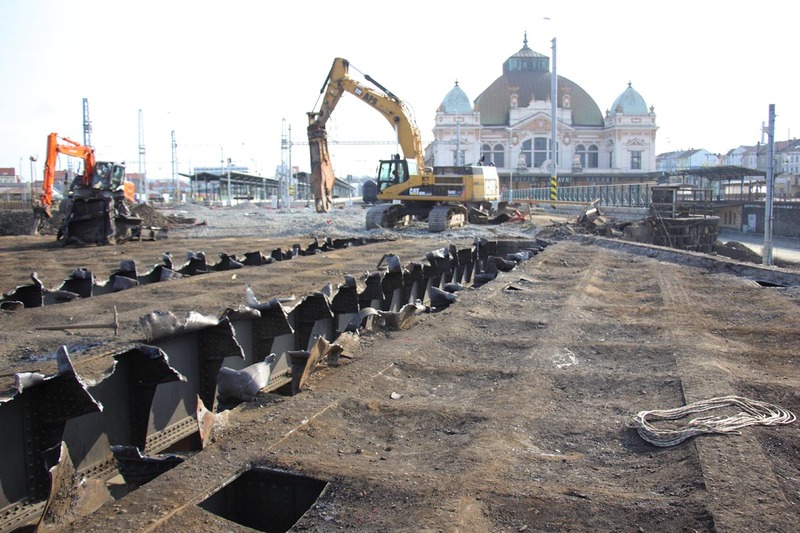 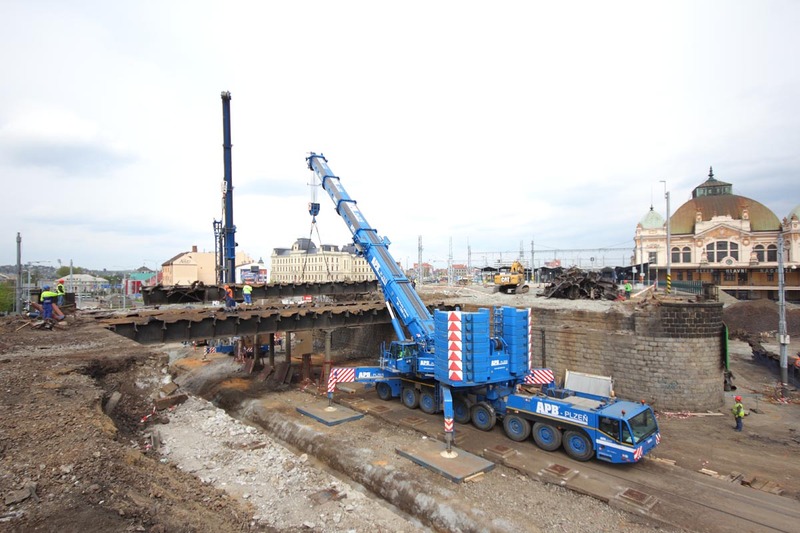 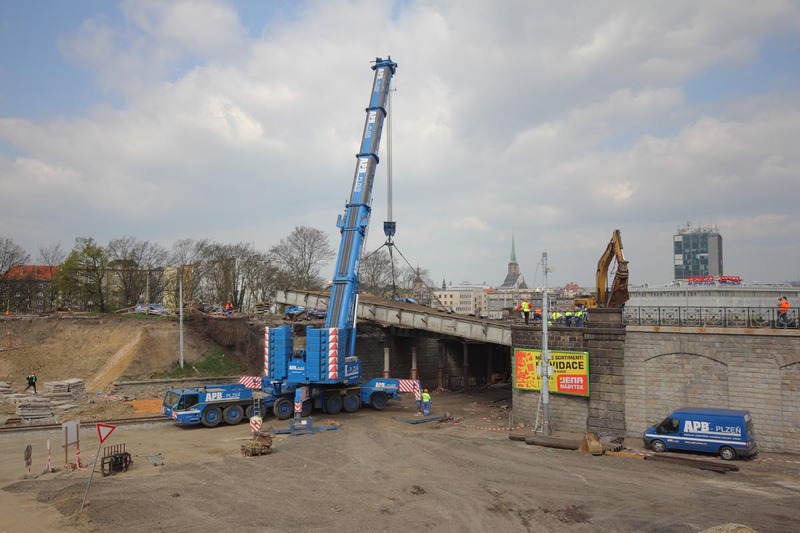 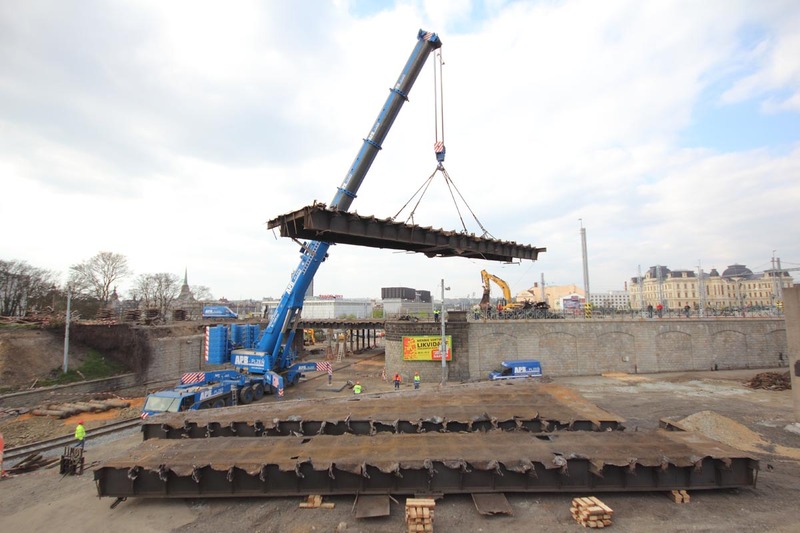 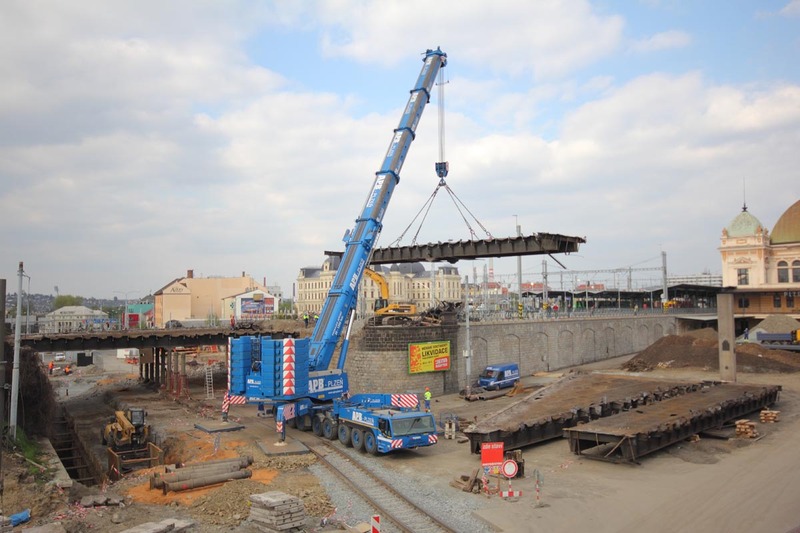 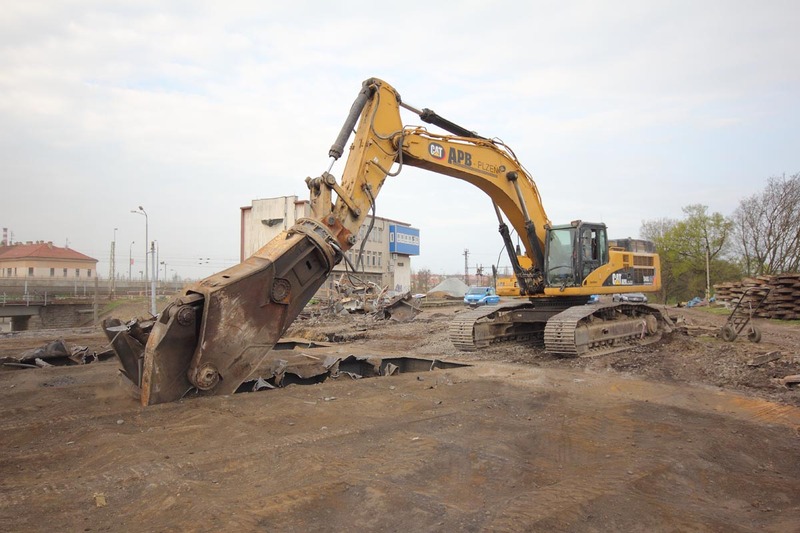 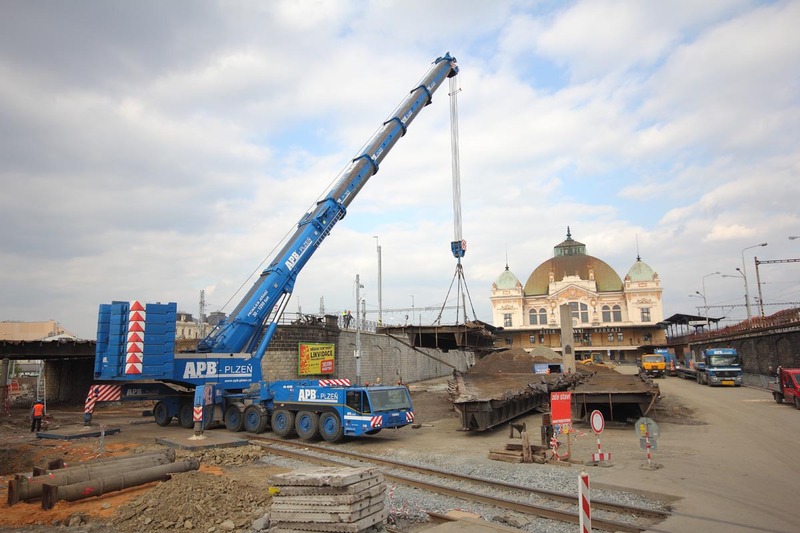 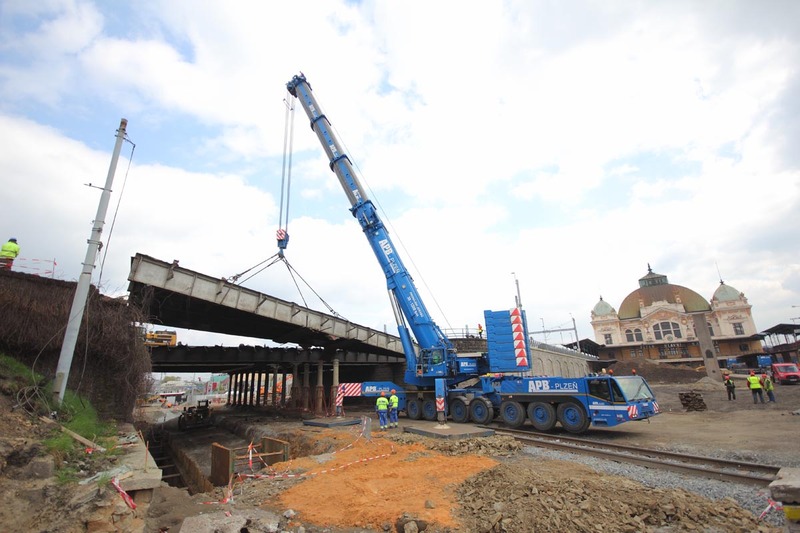 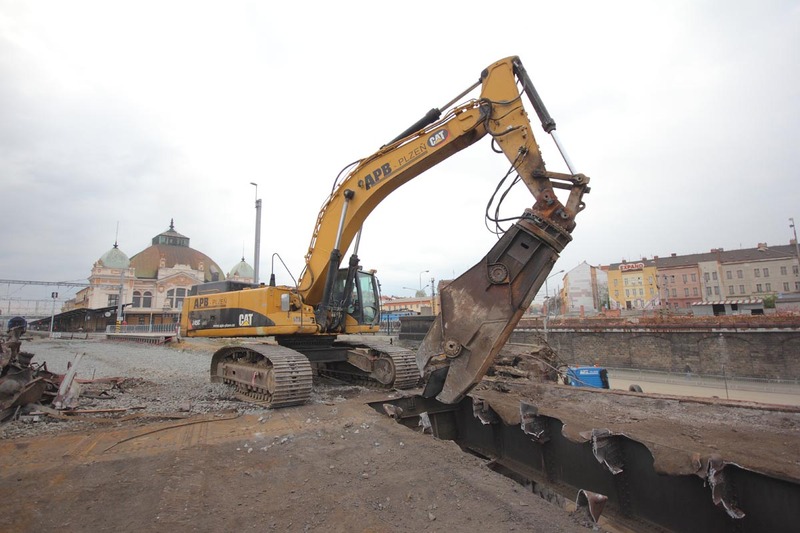 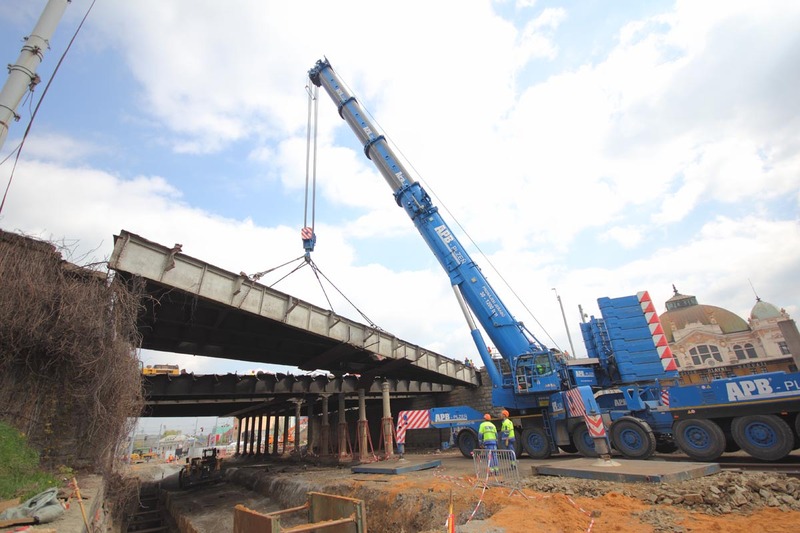 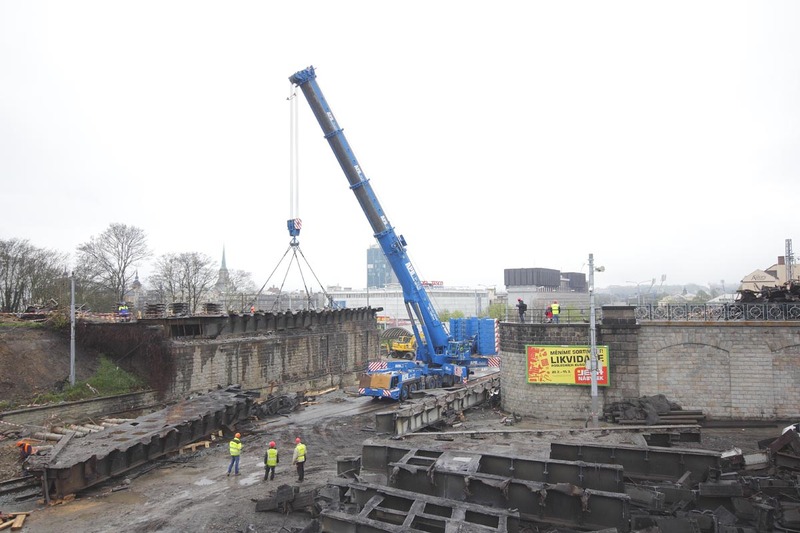 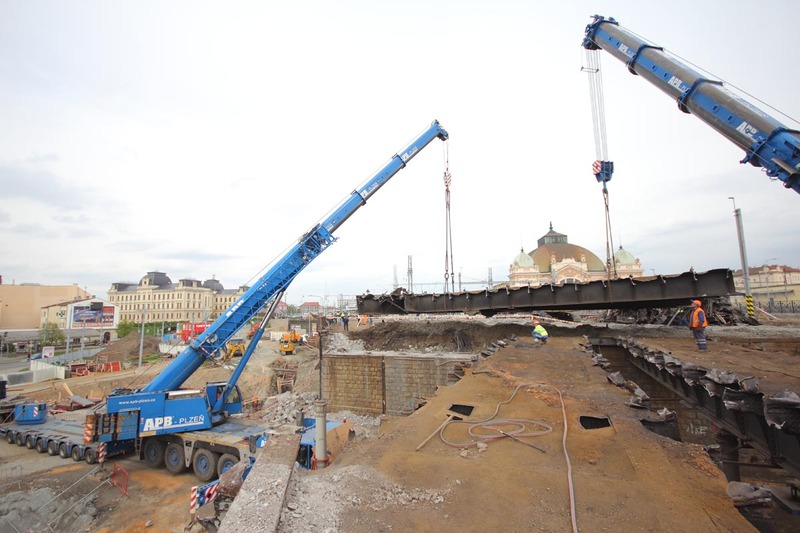 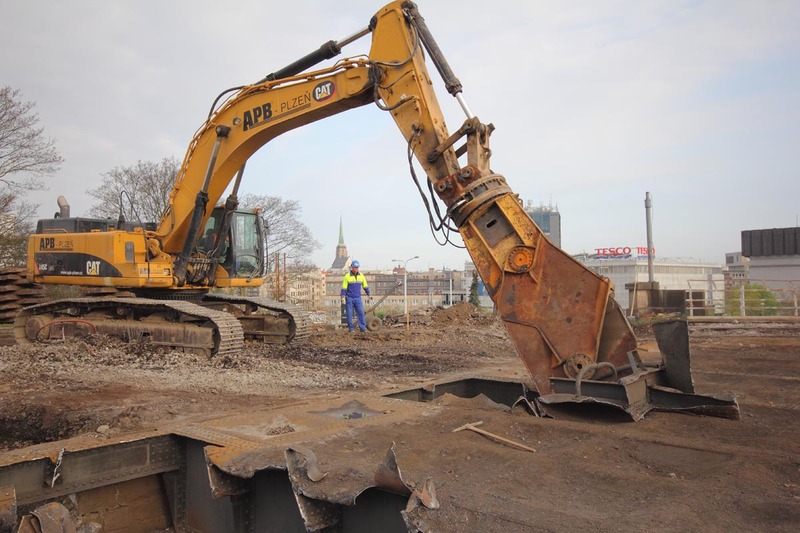 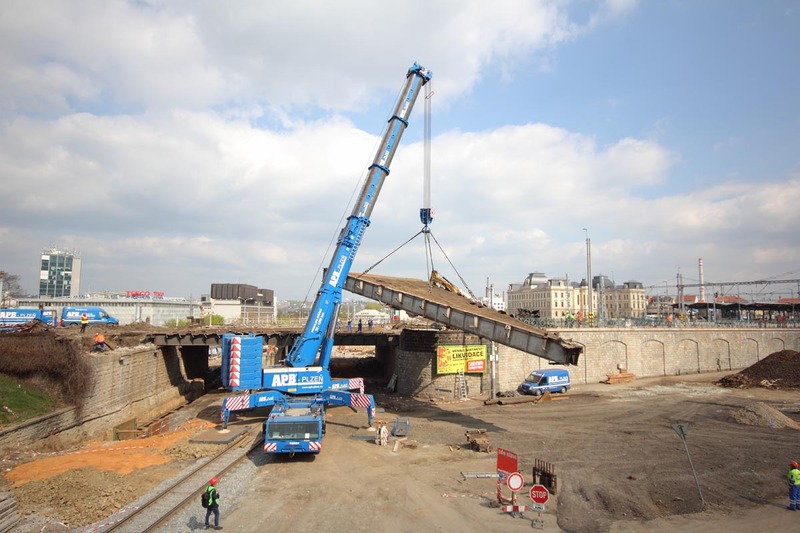 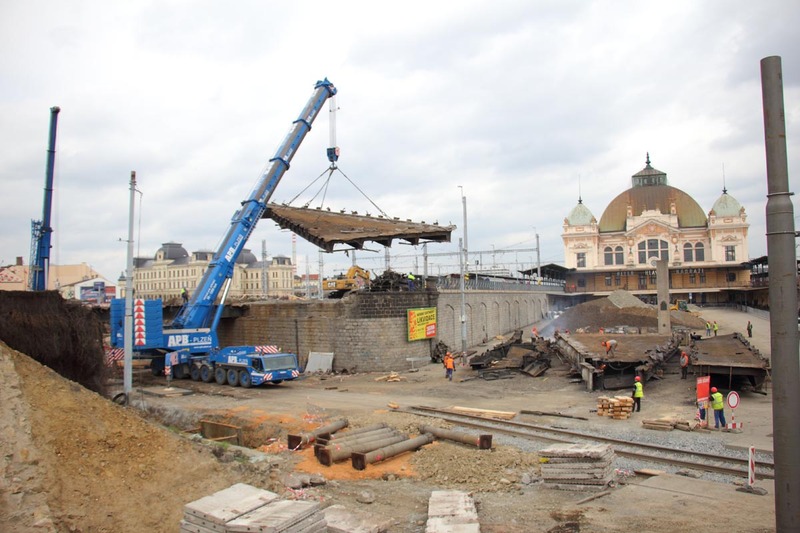 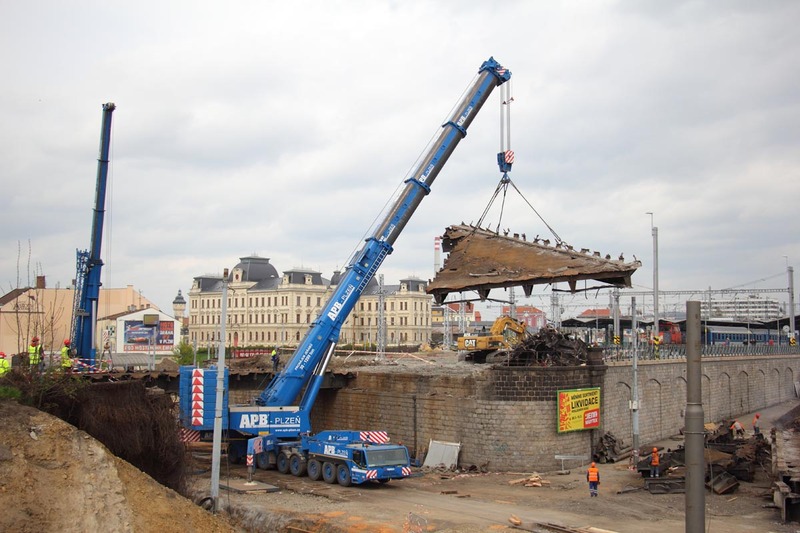 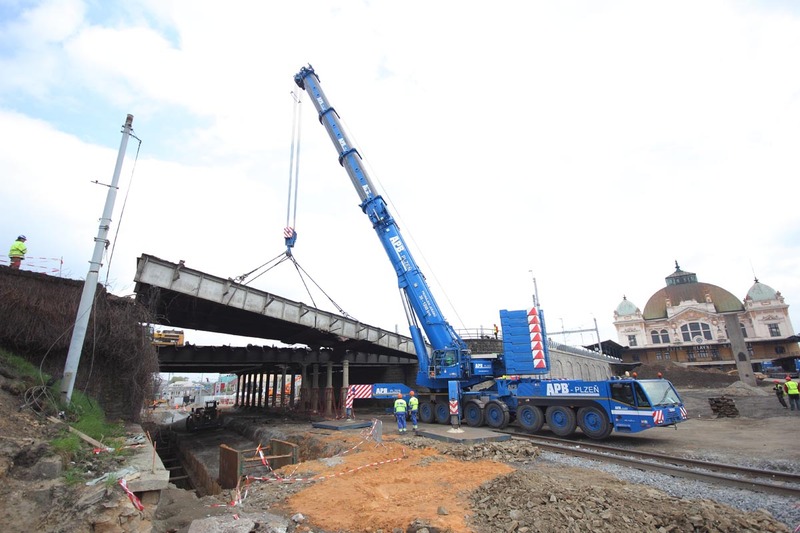 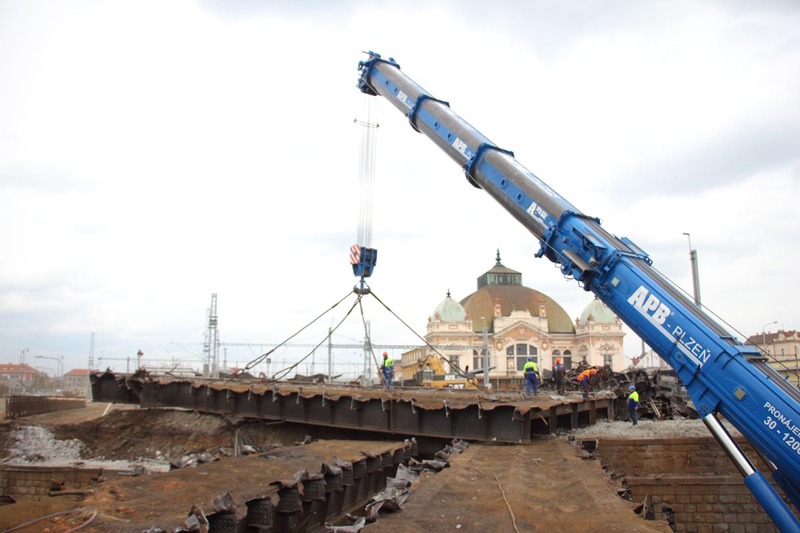 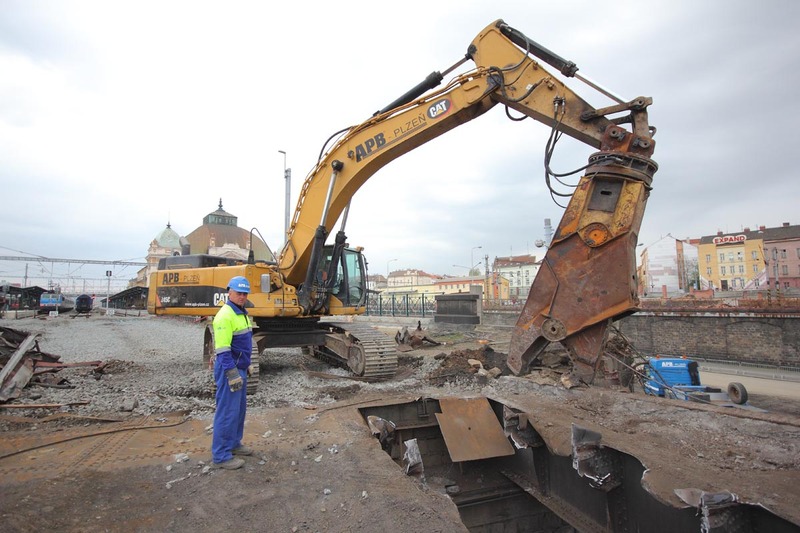 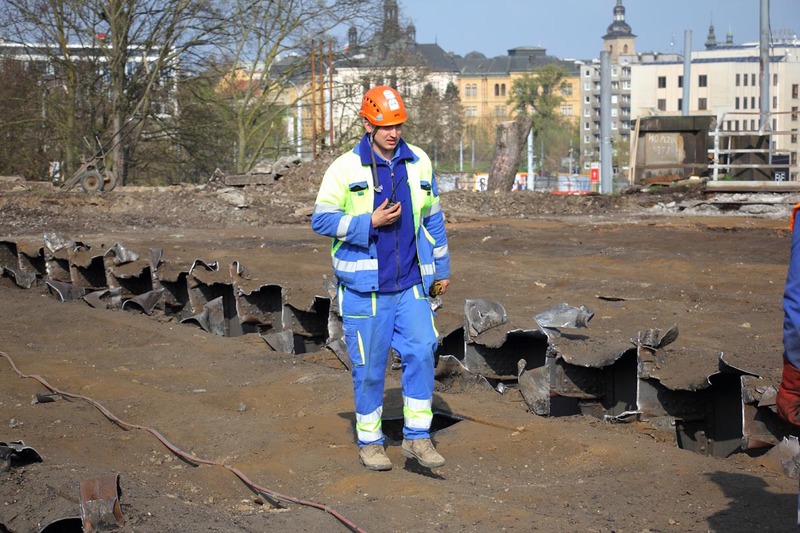 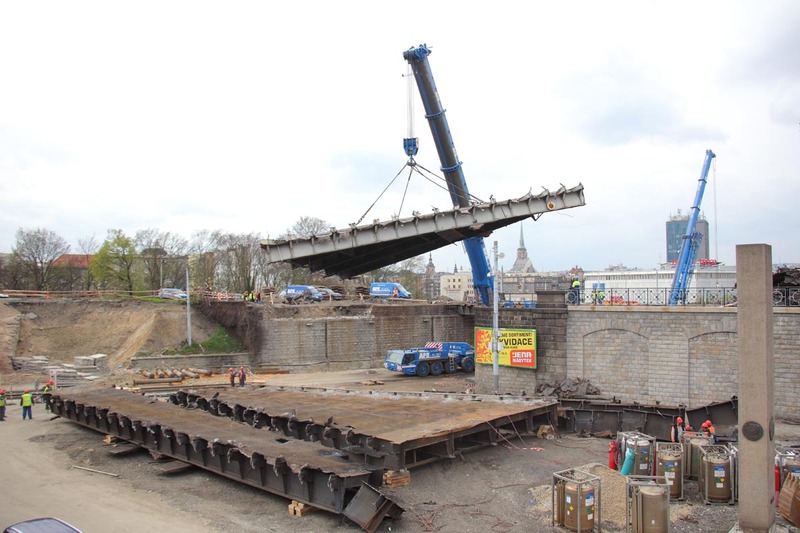 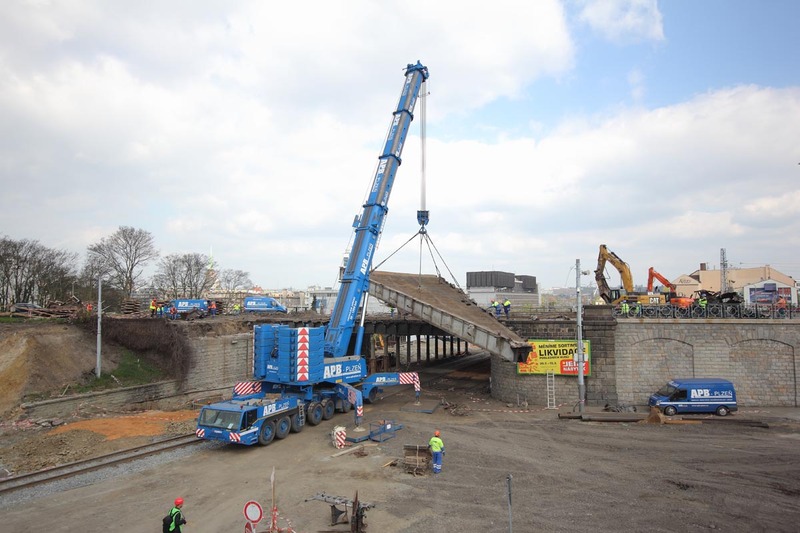 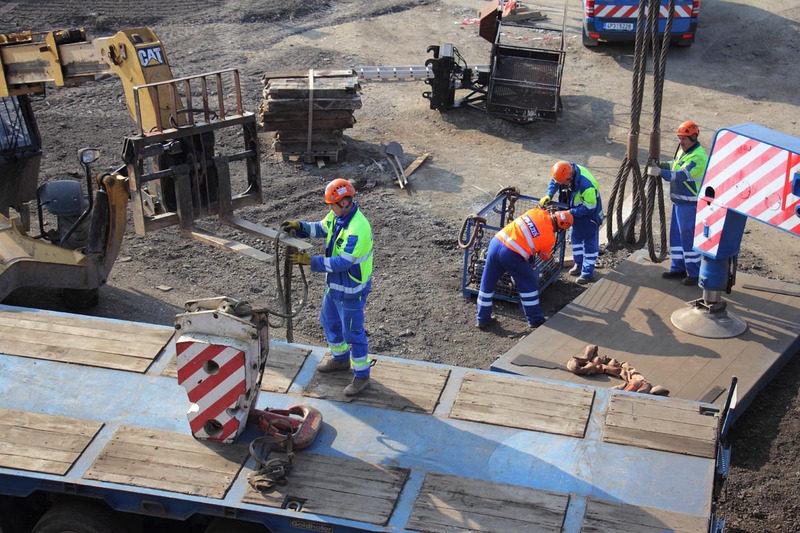 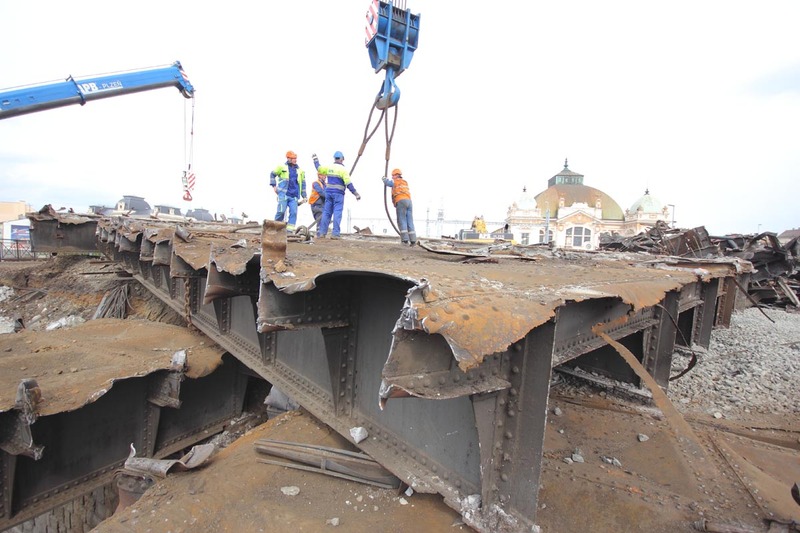 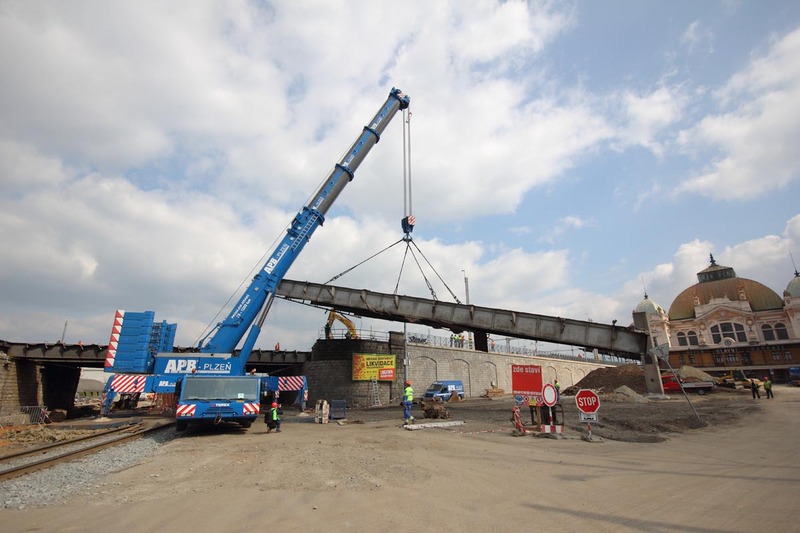 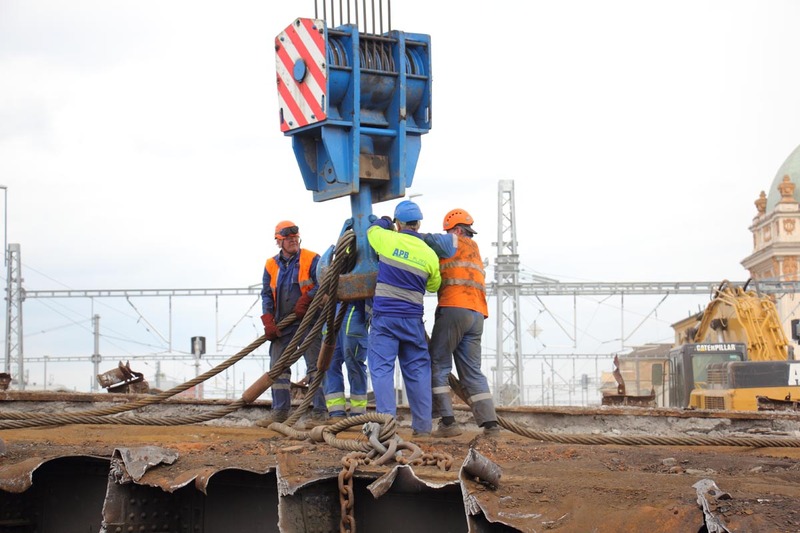 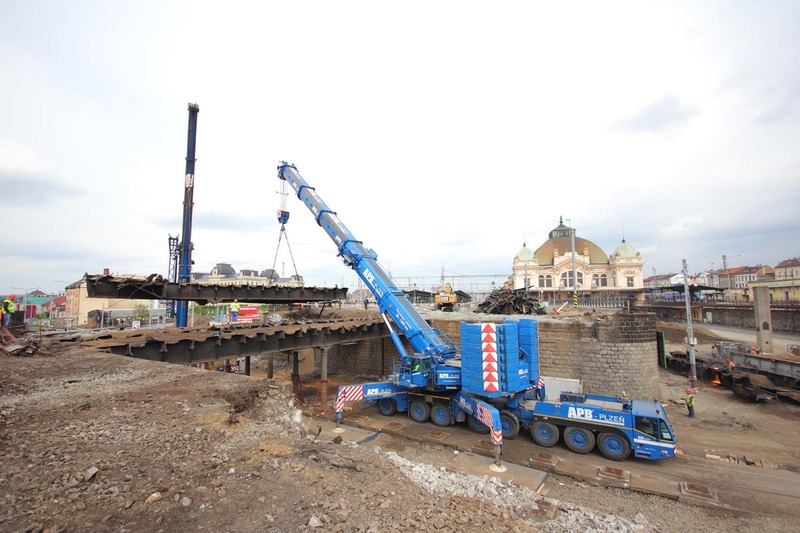 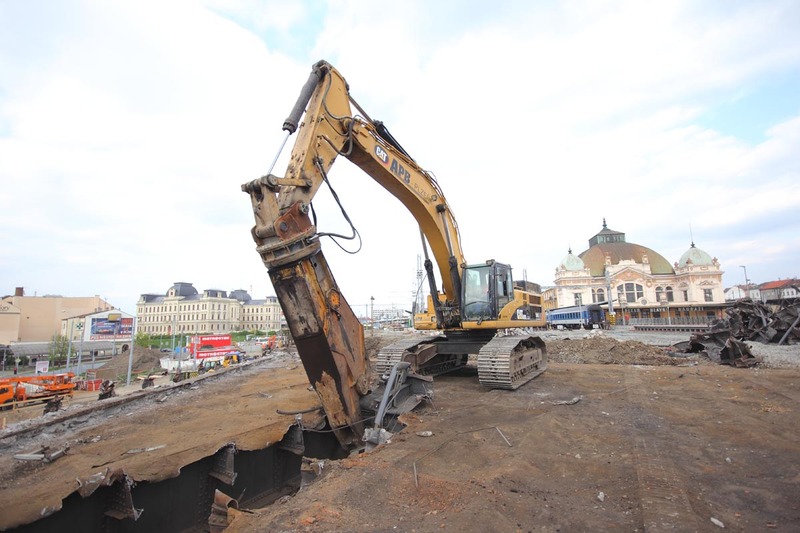 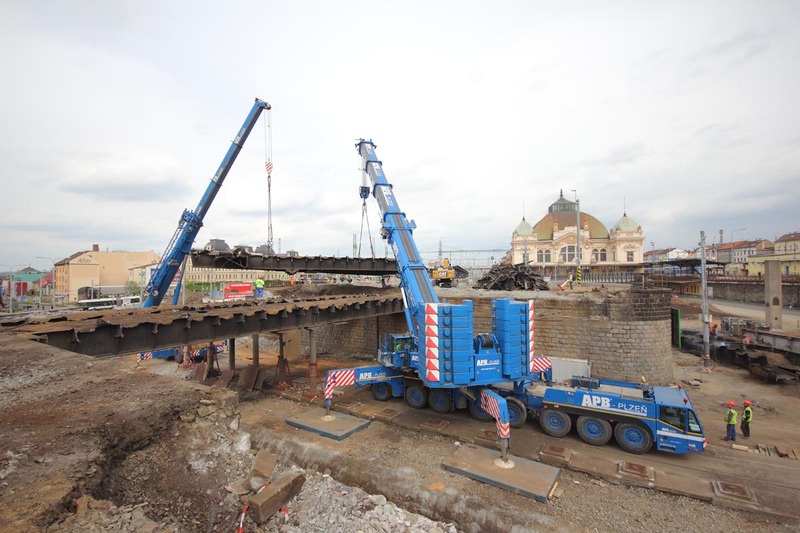 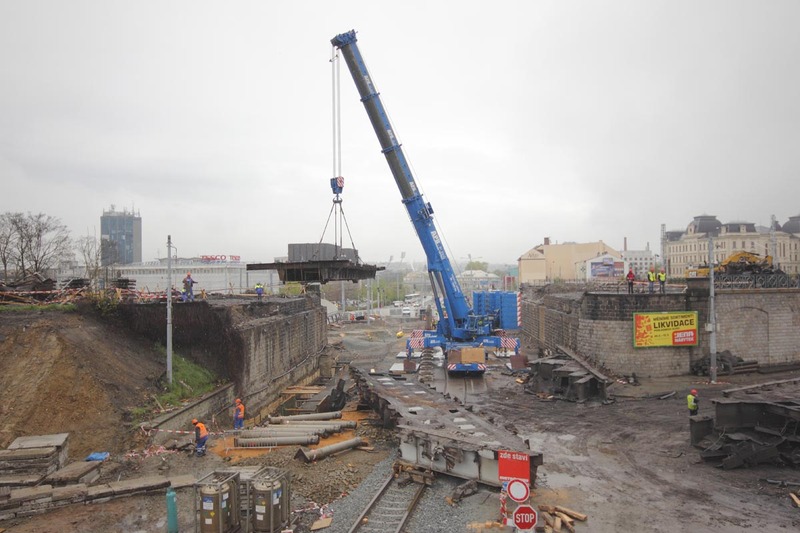 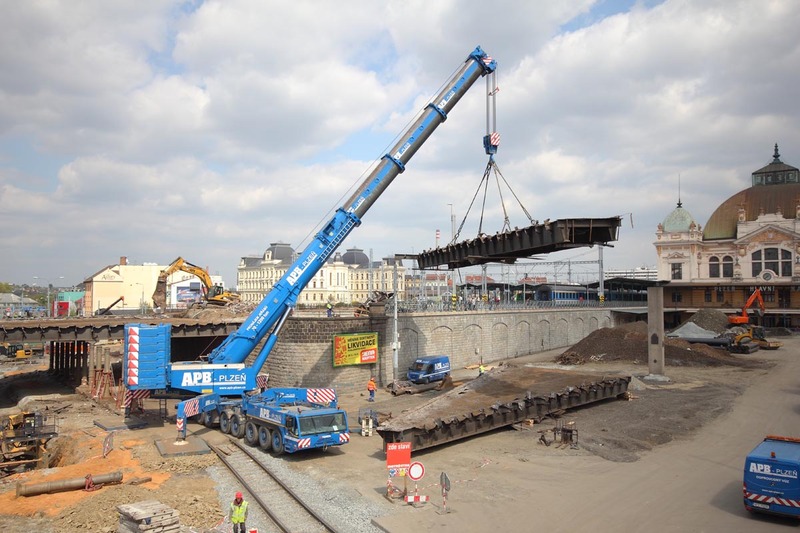 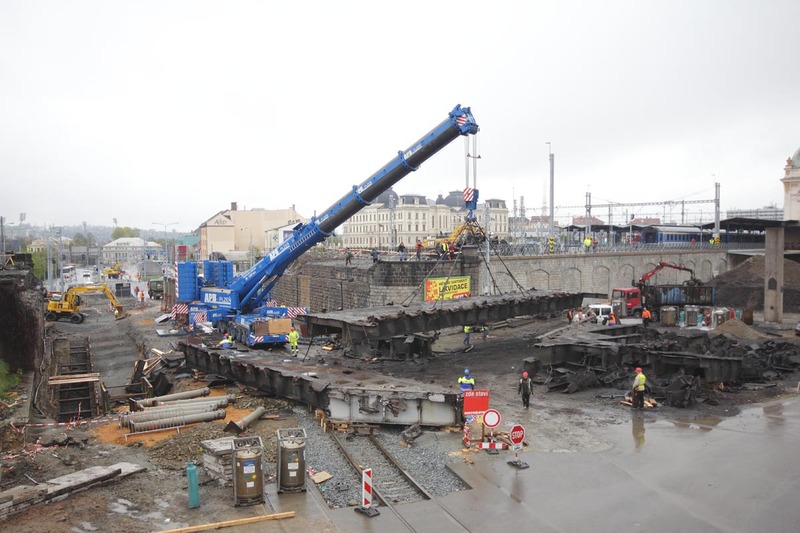 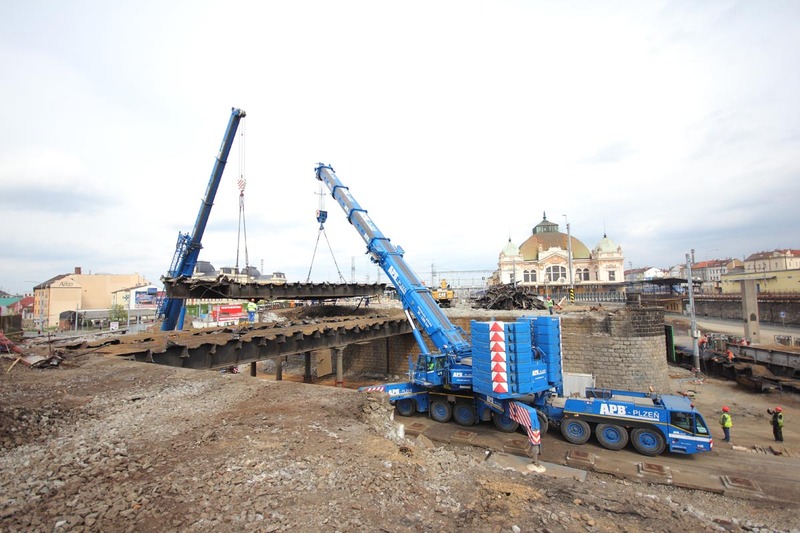 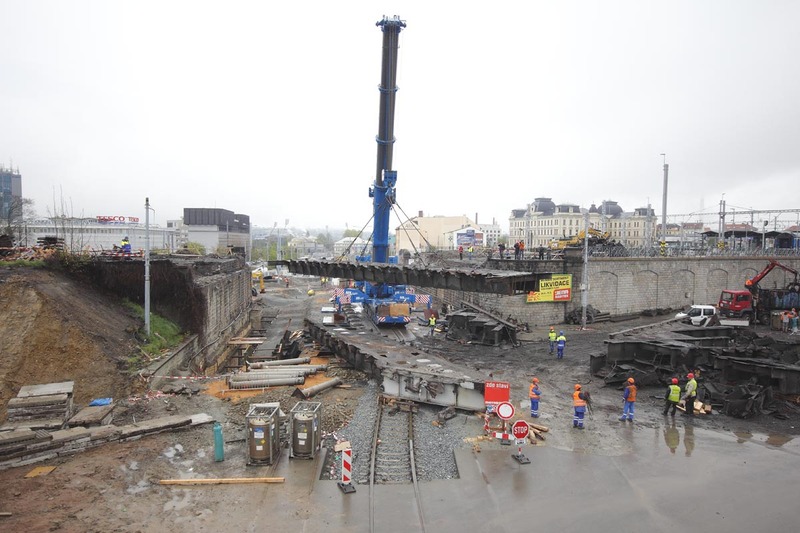 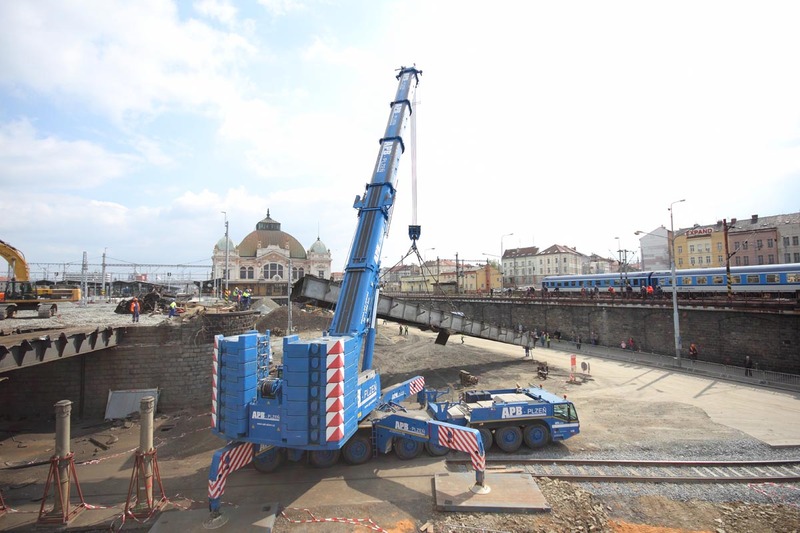 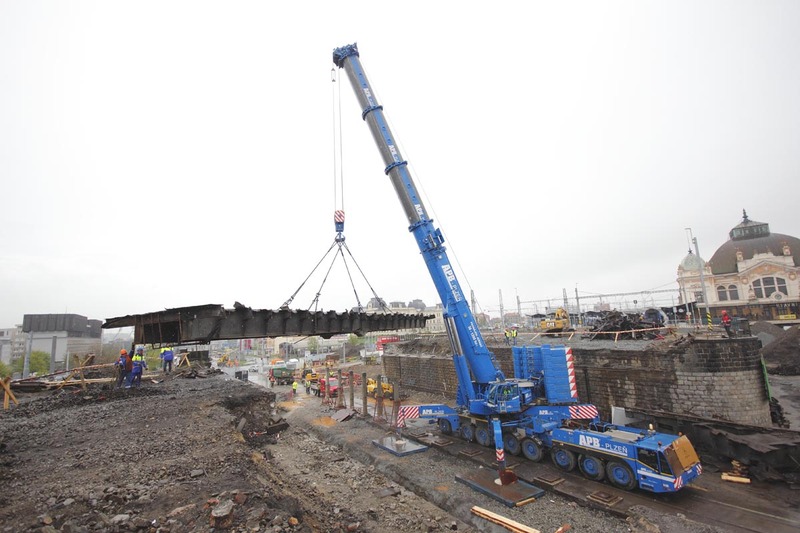 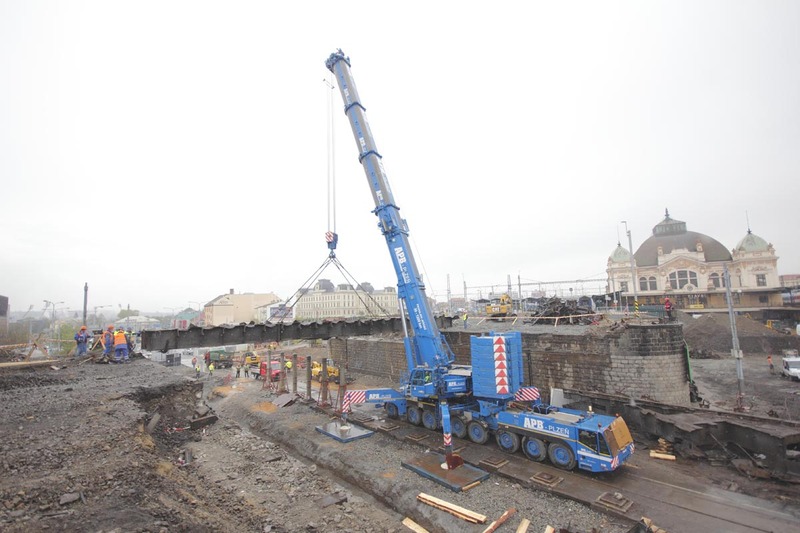 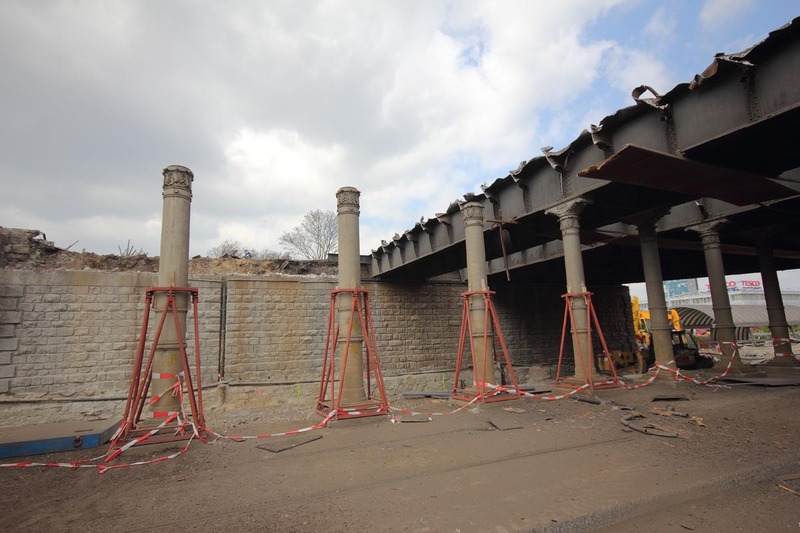 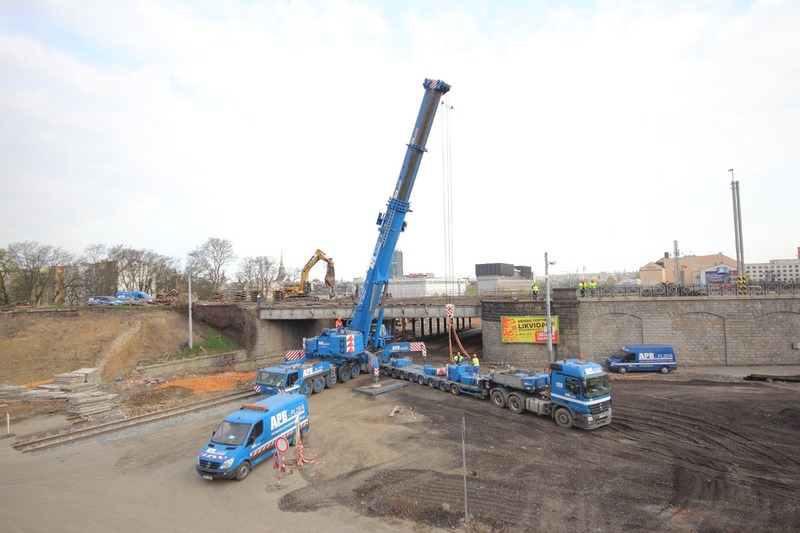 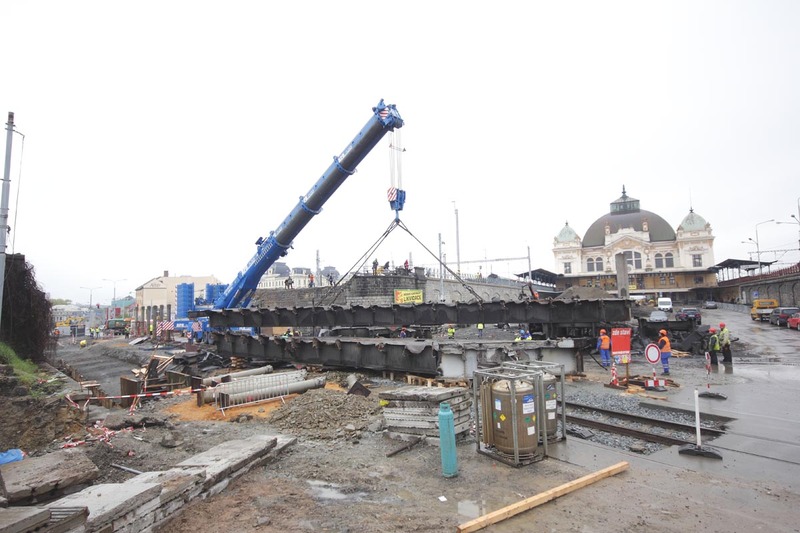 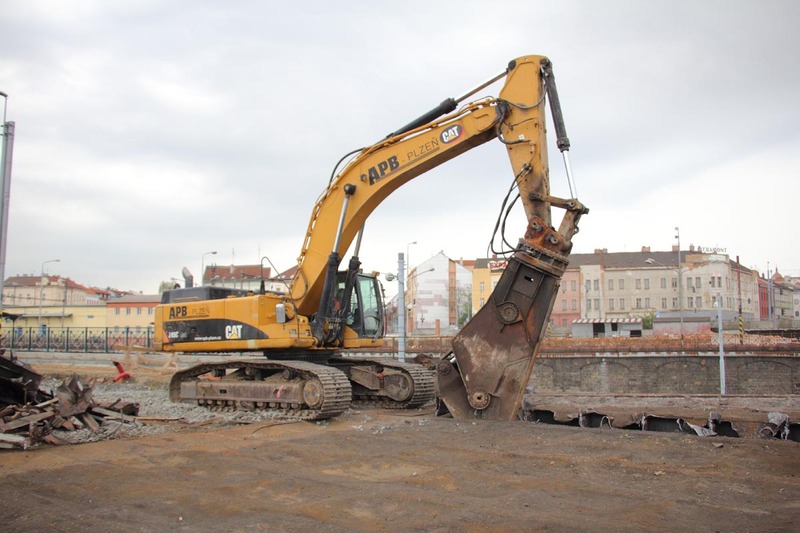 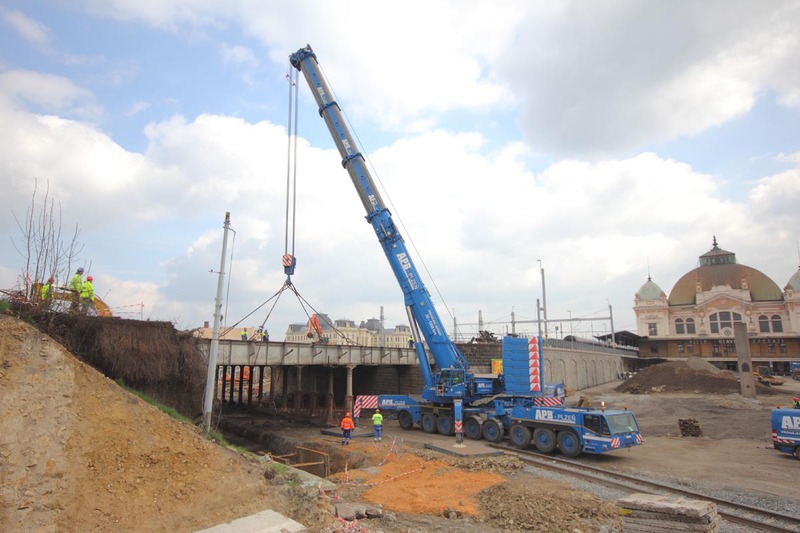 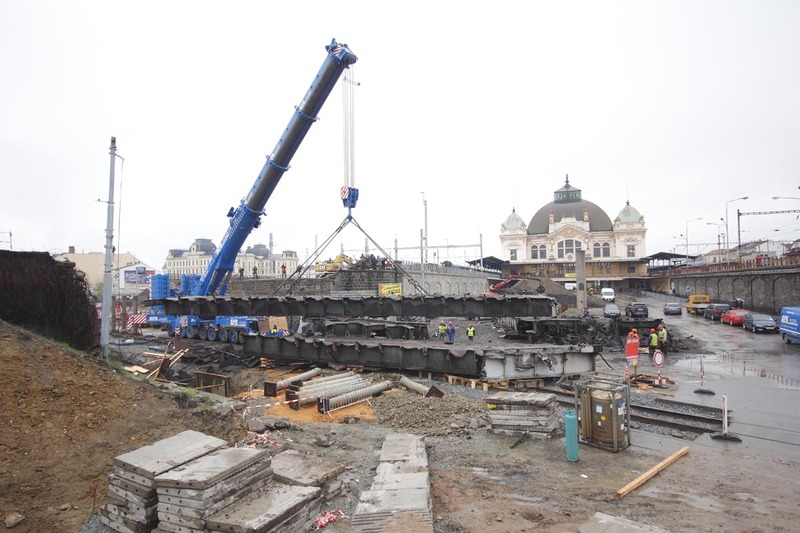 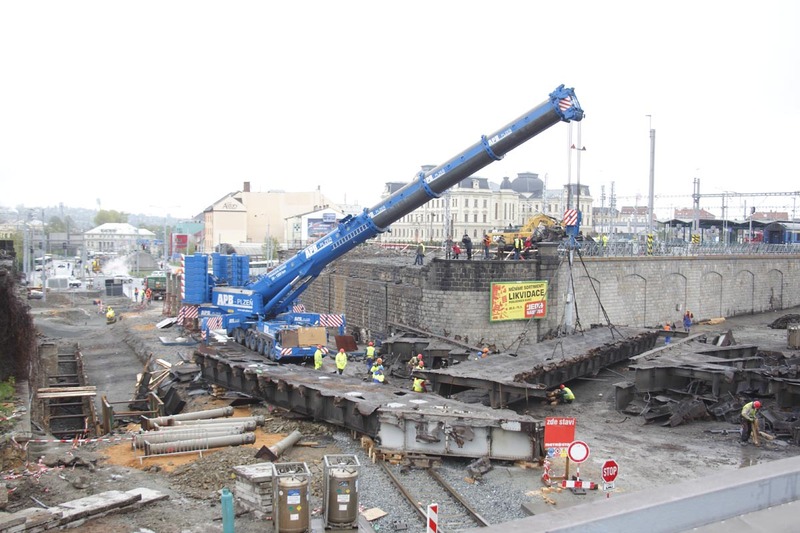 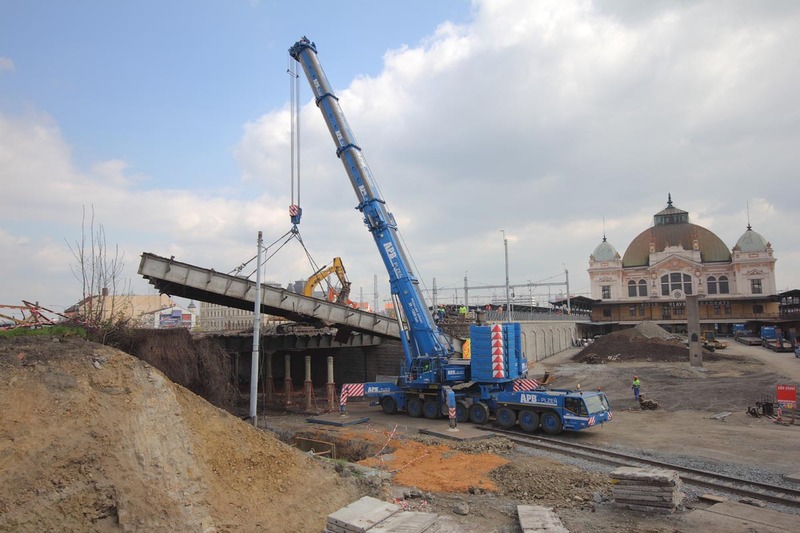 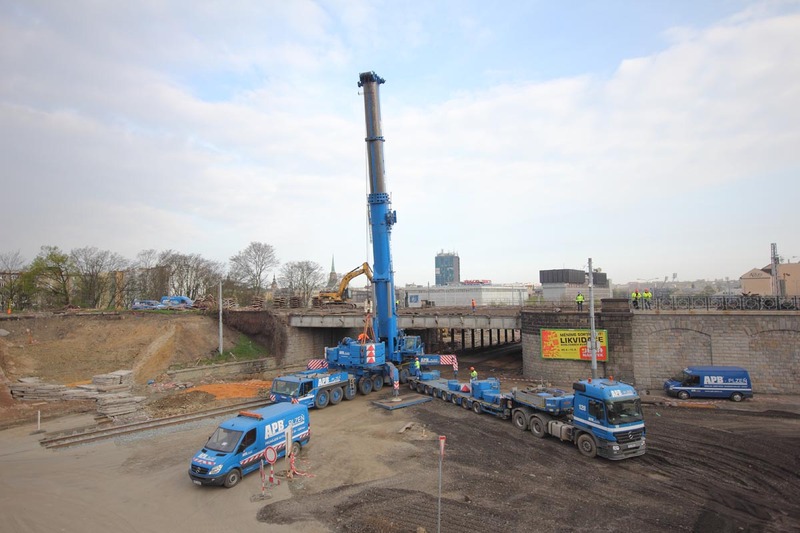 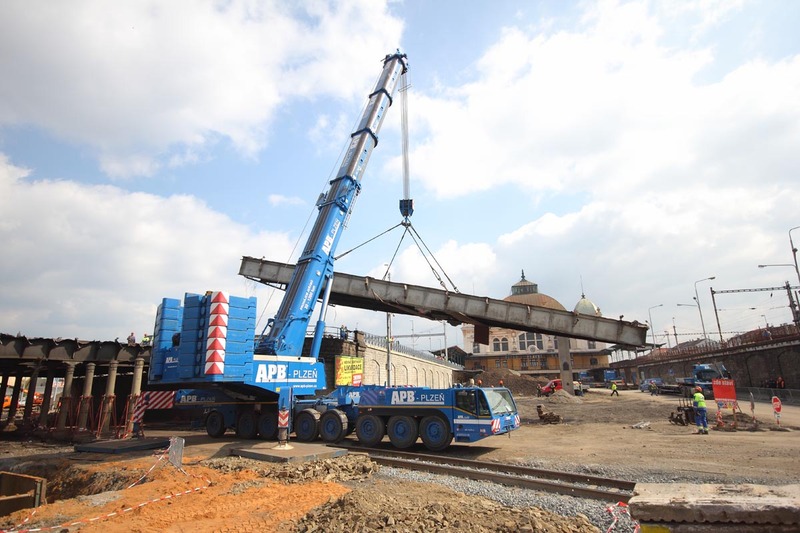 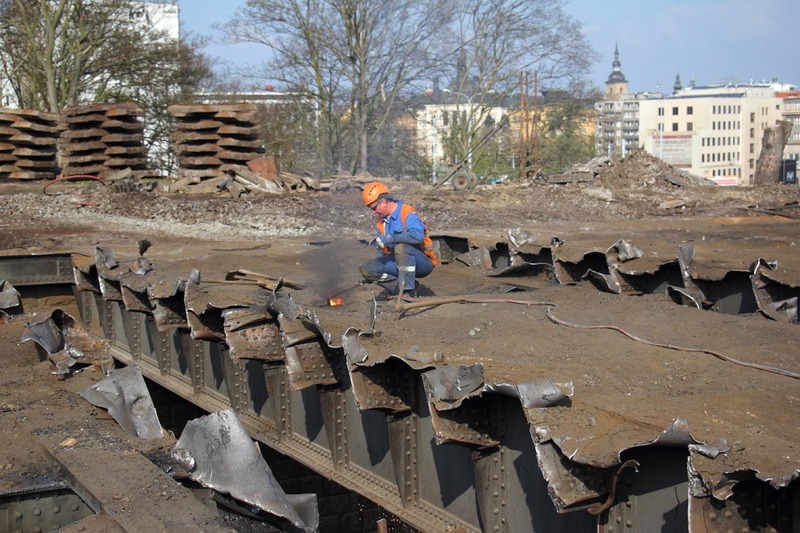 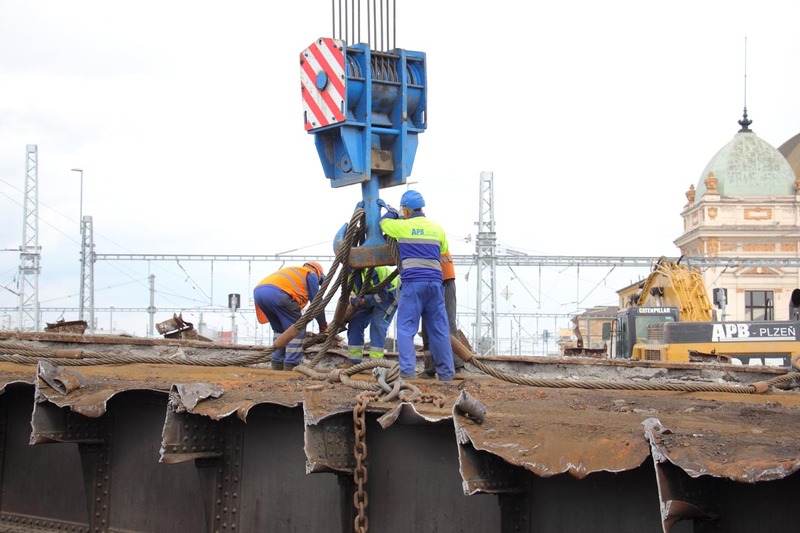 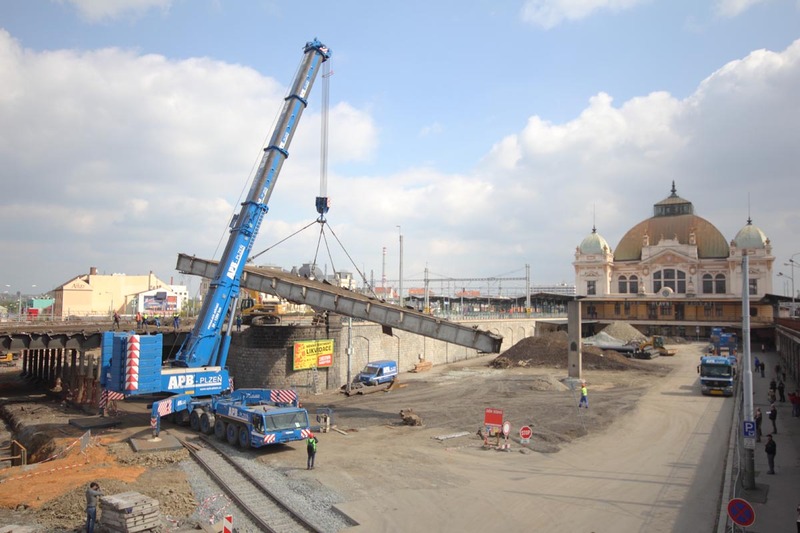 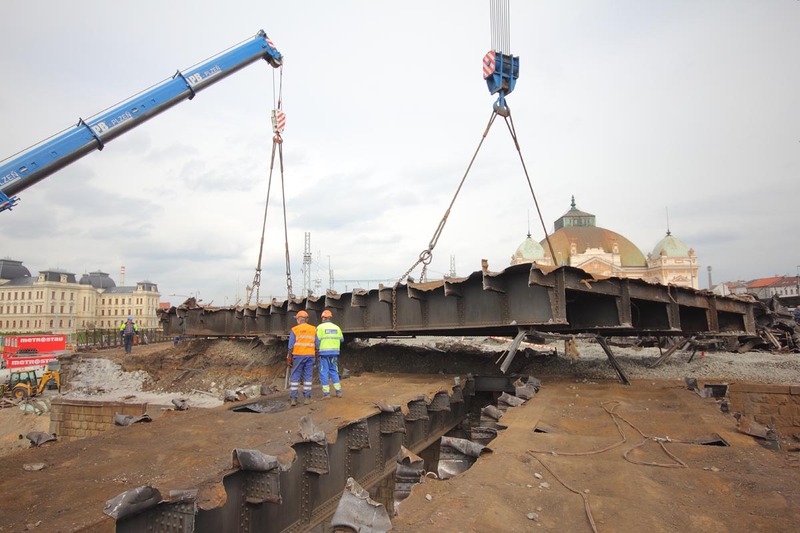 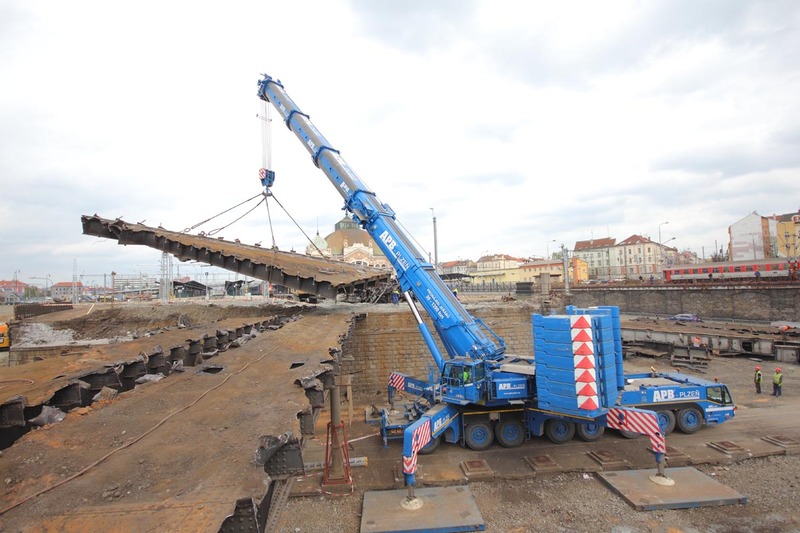 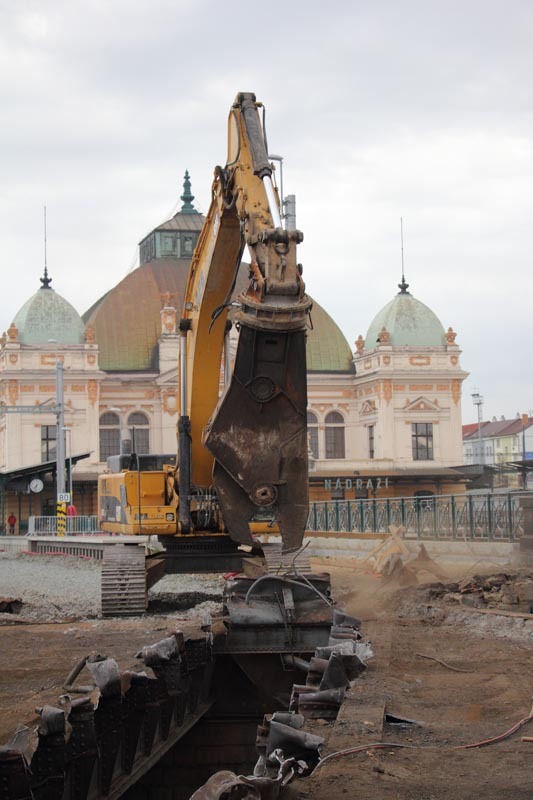 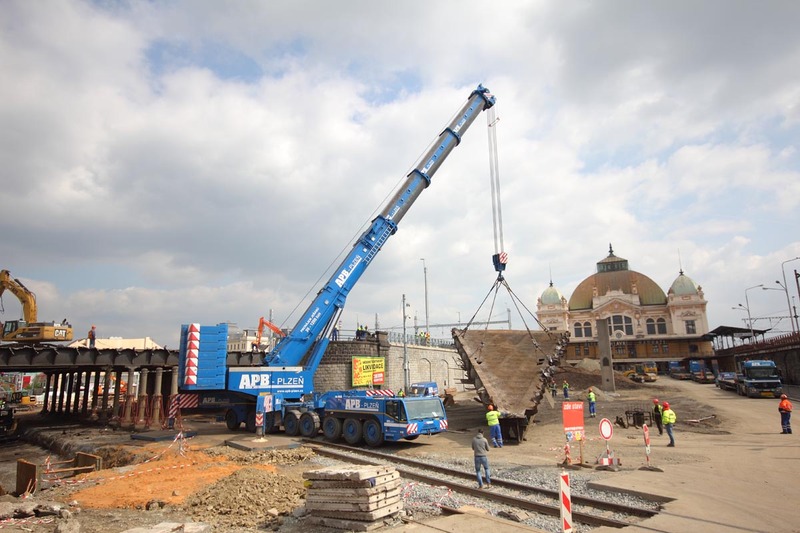 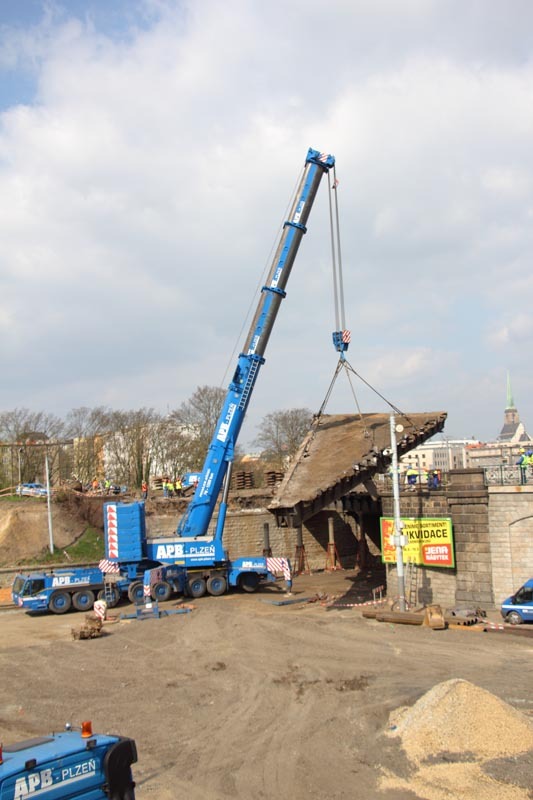 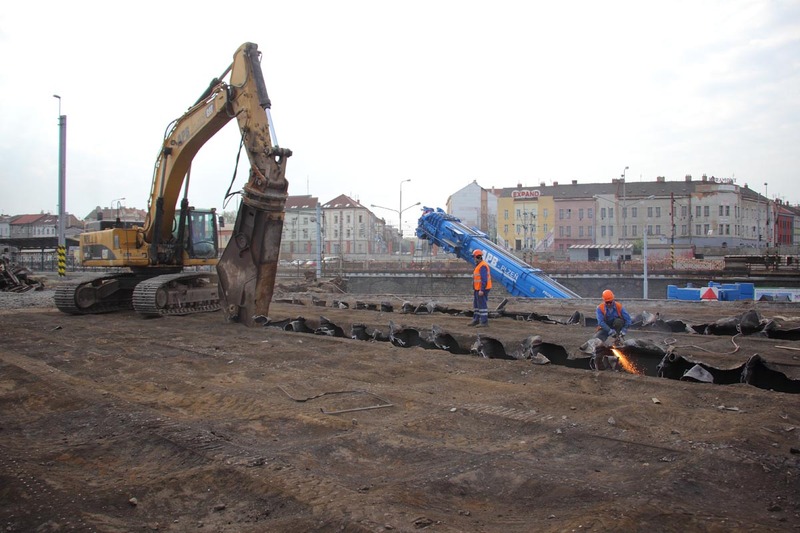 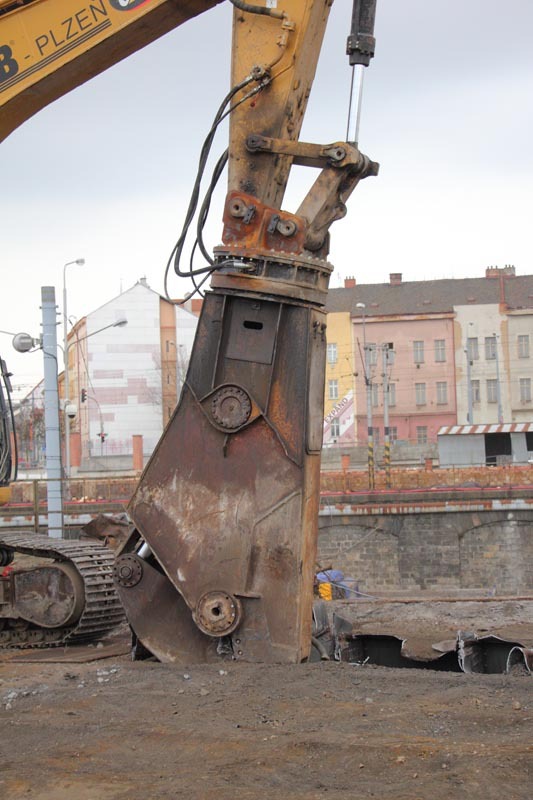 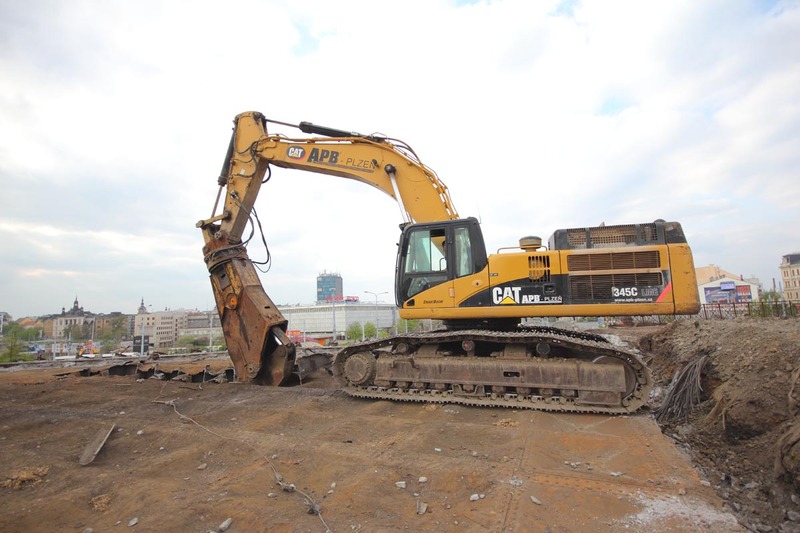 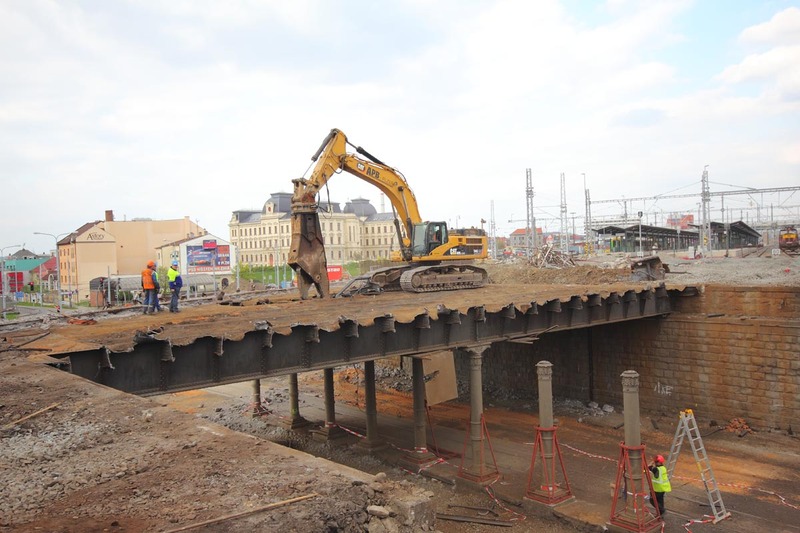 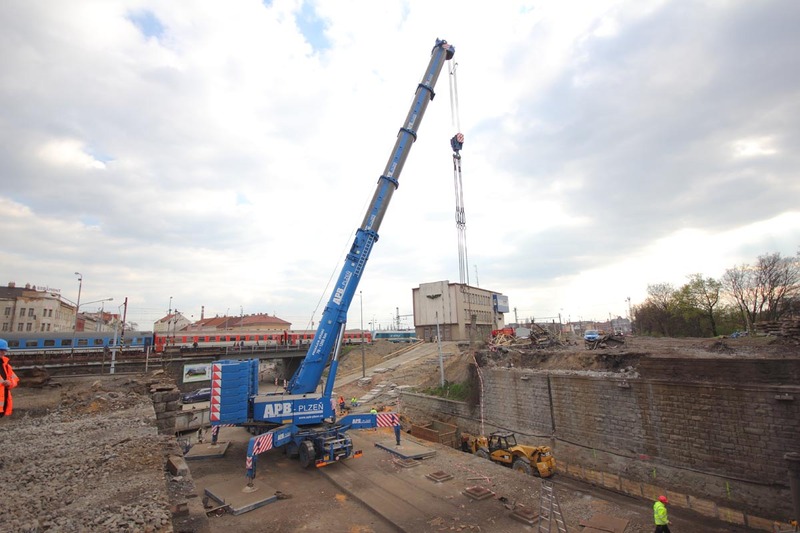 Today we started with dismantling of railway bridge in Pilsen – main railway station by using AC 500 telescopis crane. 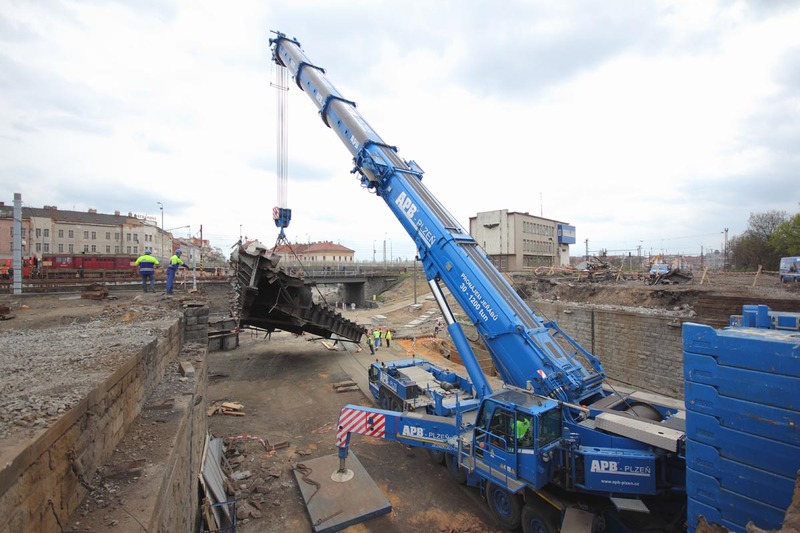 By using excavator with pneumatic scissors the steel bridge had been divided into several parts which were by crane carried down to the ground. 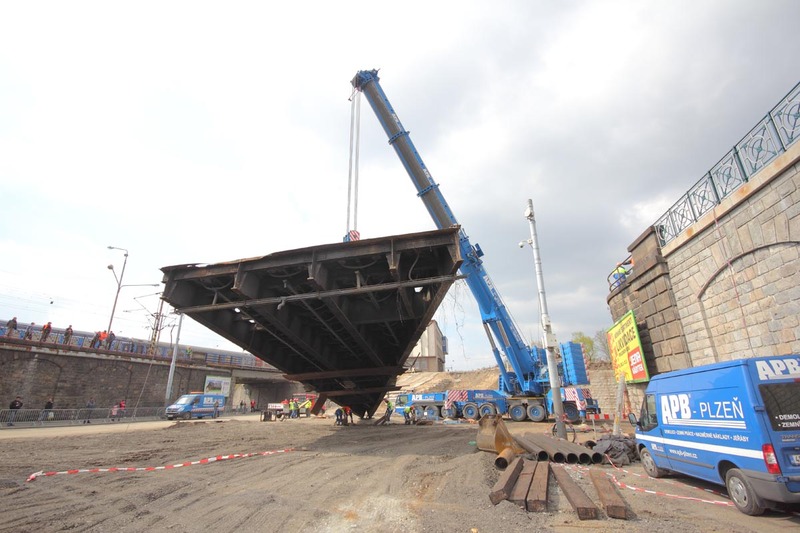 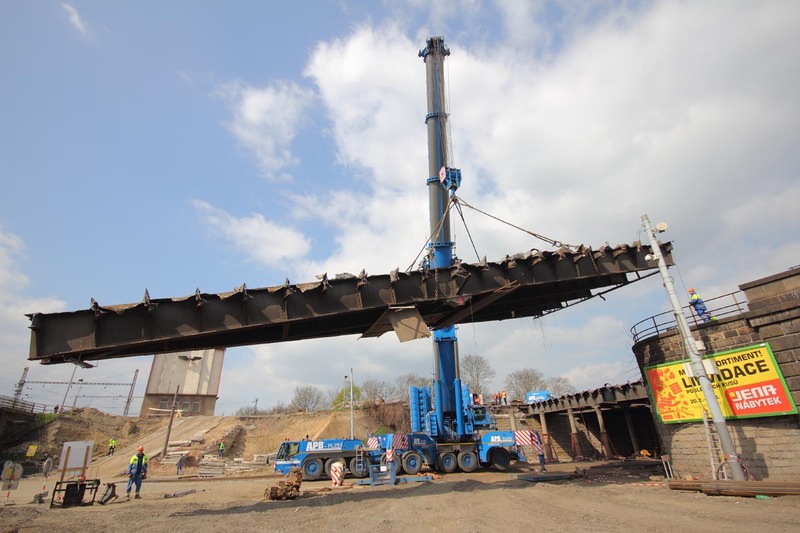 The weight of the first part of the bridge was 85t and of the second one 50t.